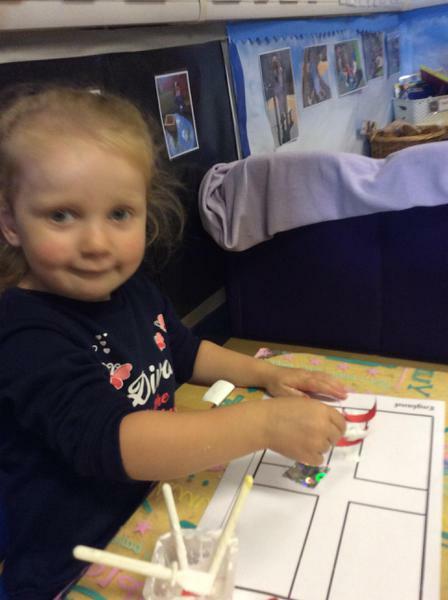 Caterpillars have been naming animals and their sounds, sorting animals into families and making lovely pictures for home and nursery. 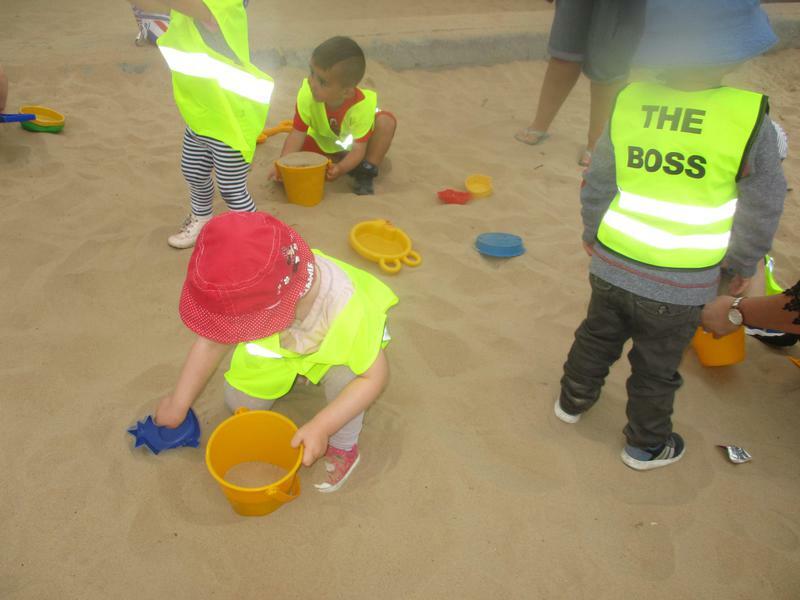 We enjoyed sensory play, washing the muddy farm animals at the end of the week. 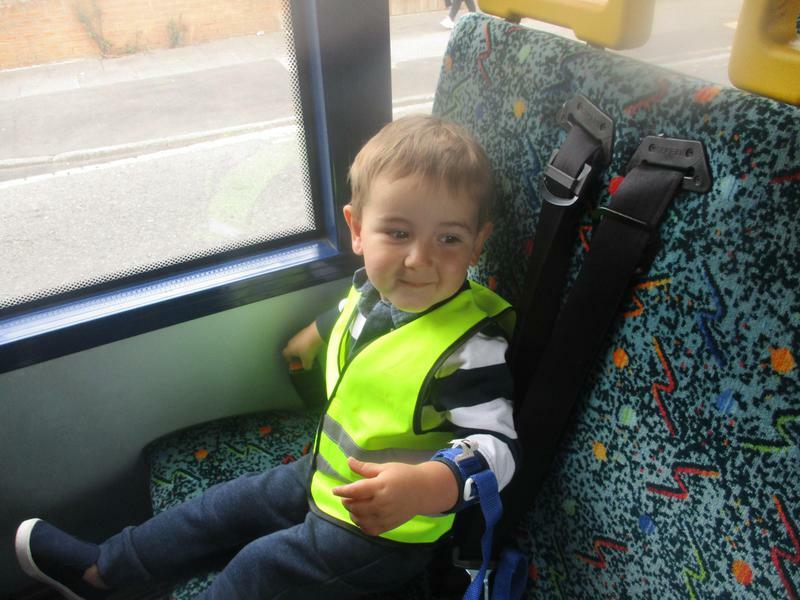 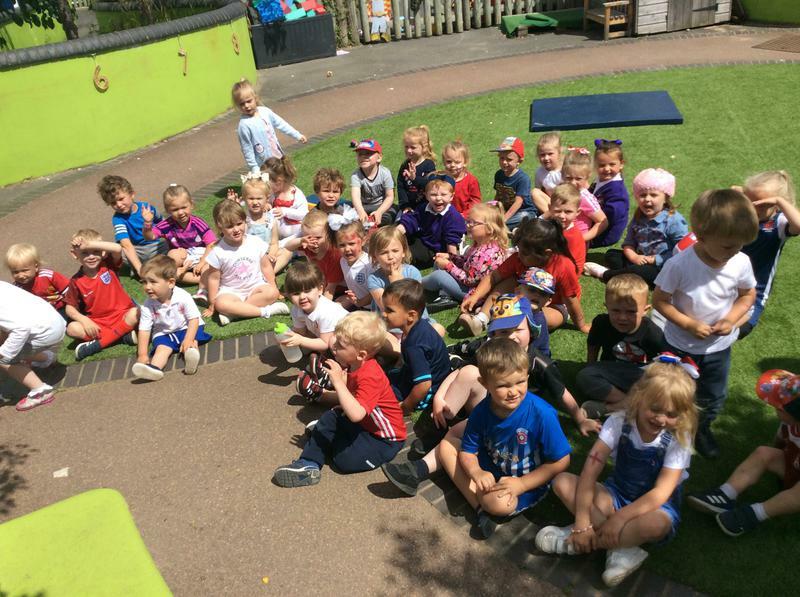 Busy first week back ! 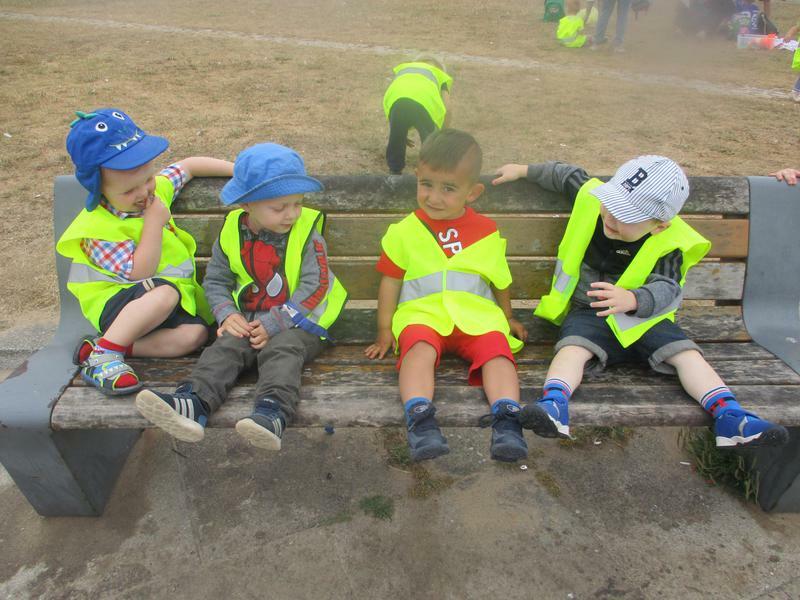 Nearly the end of another school year. 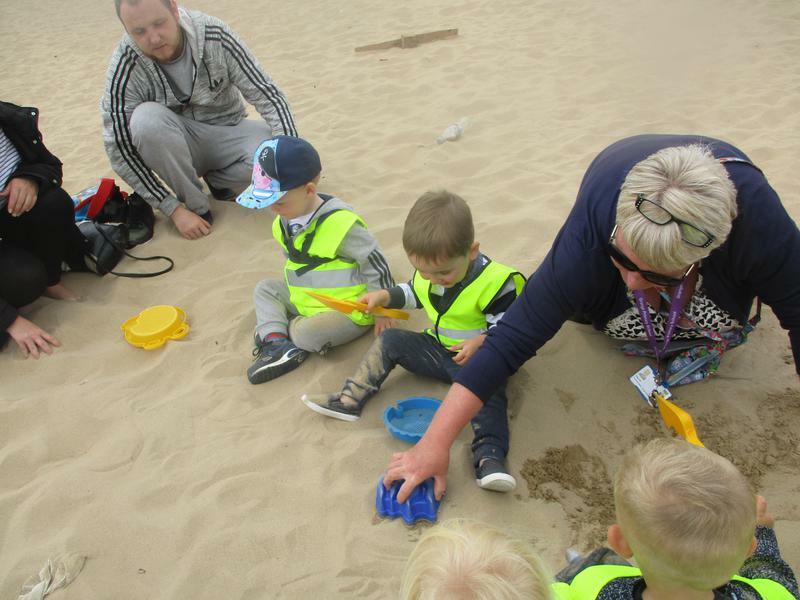 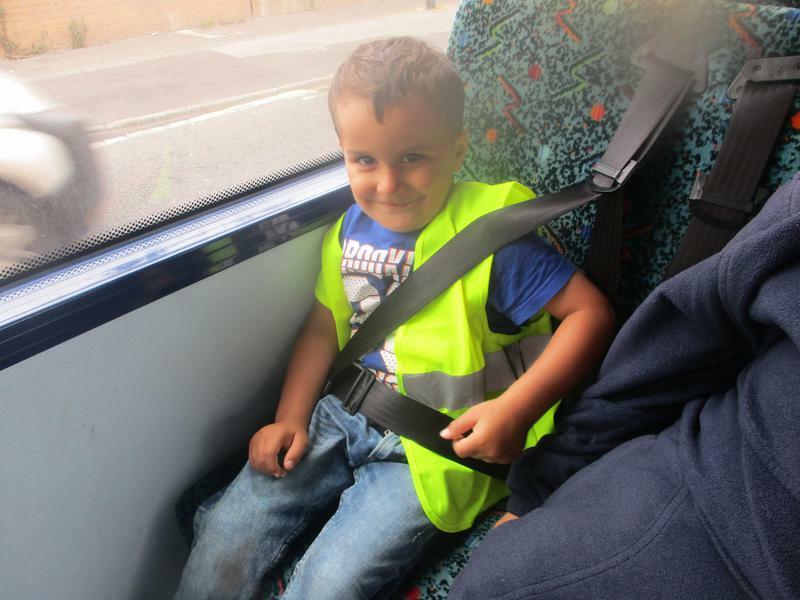 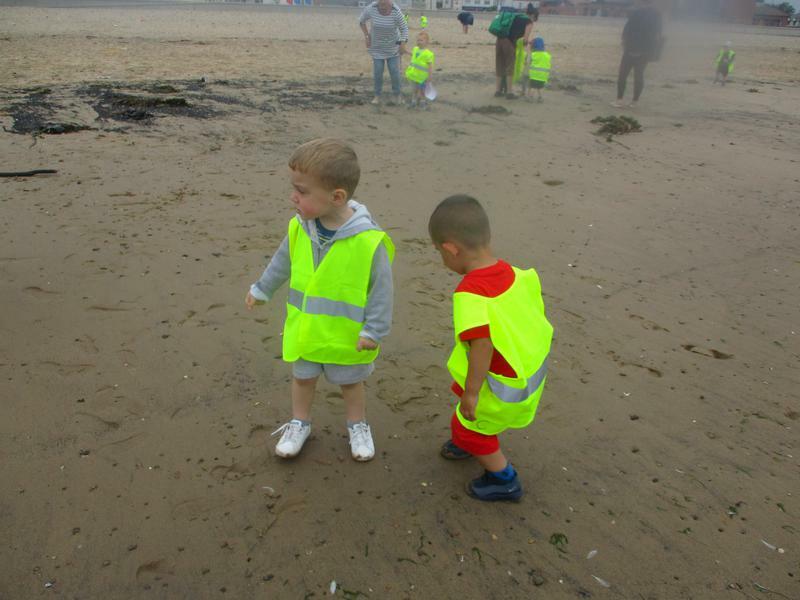 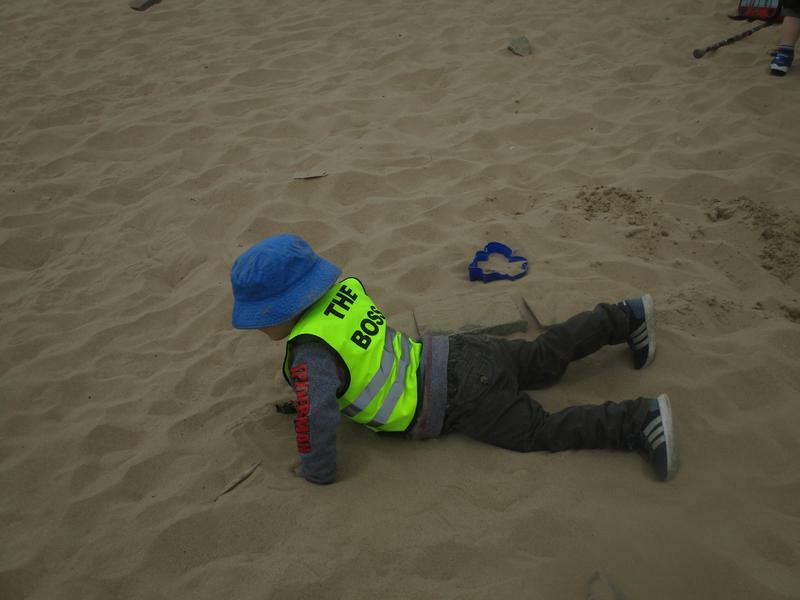 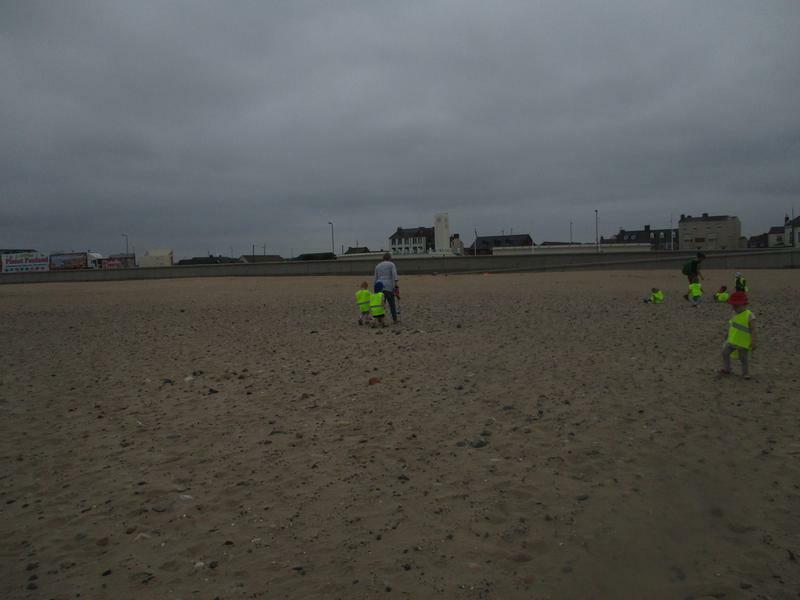 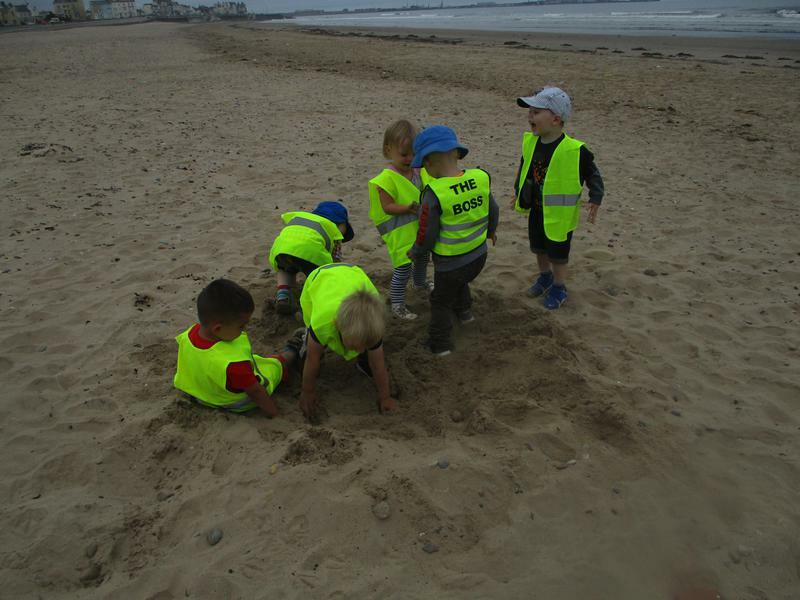 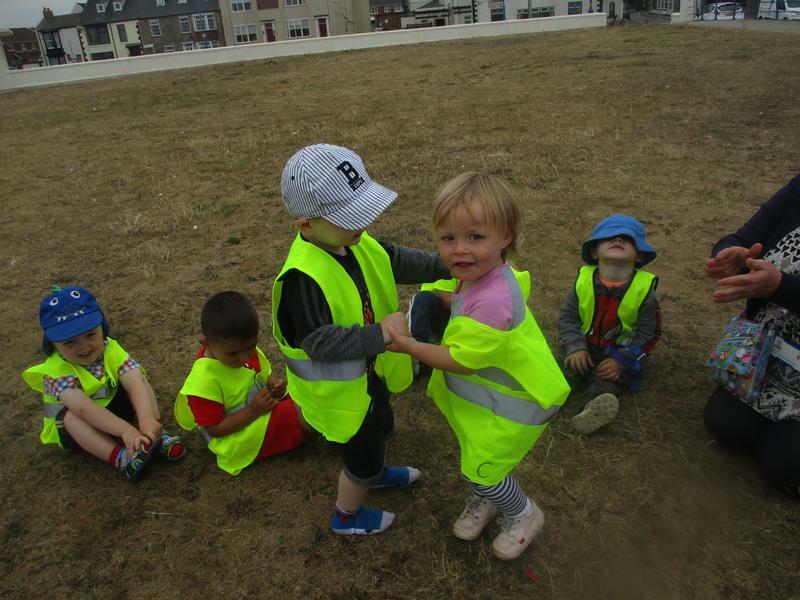 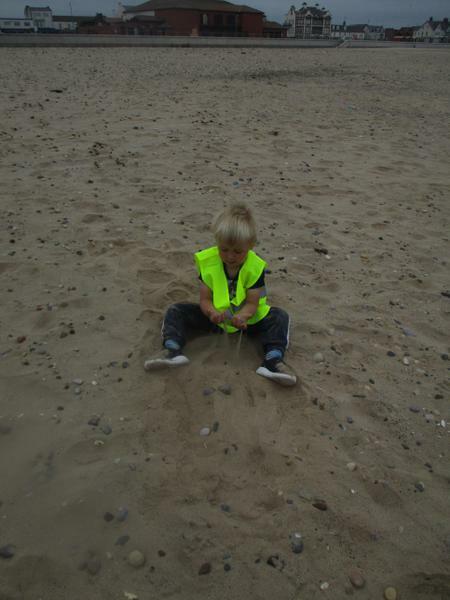 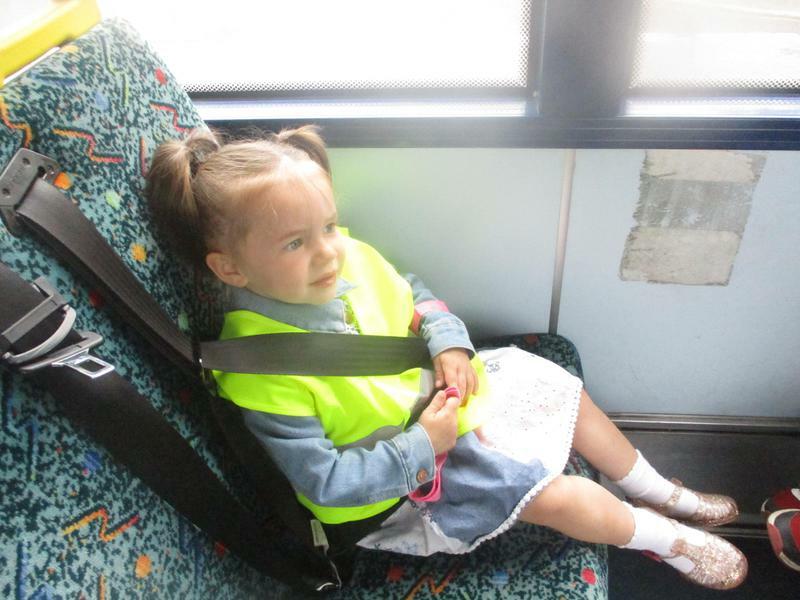 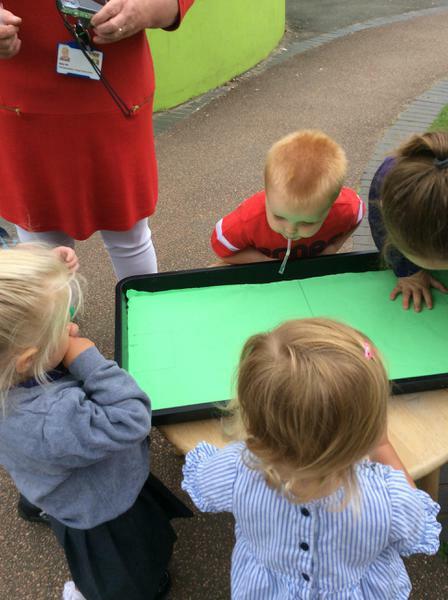 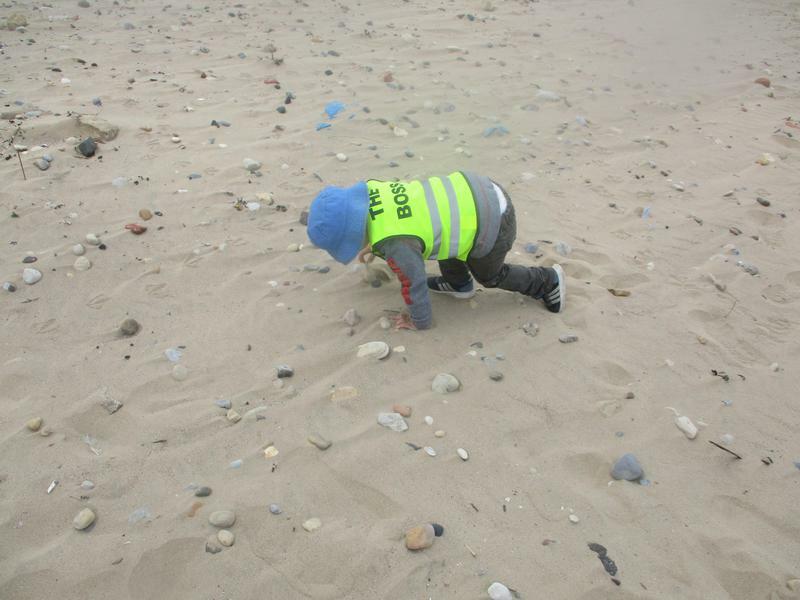 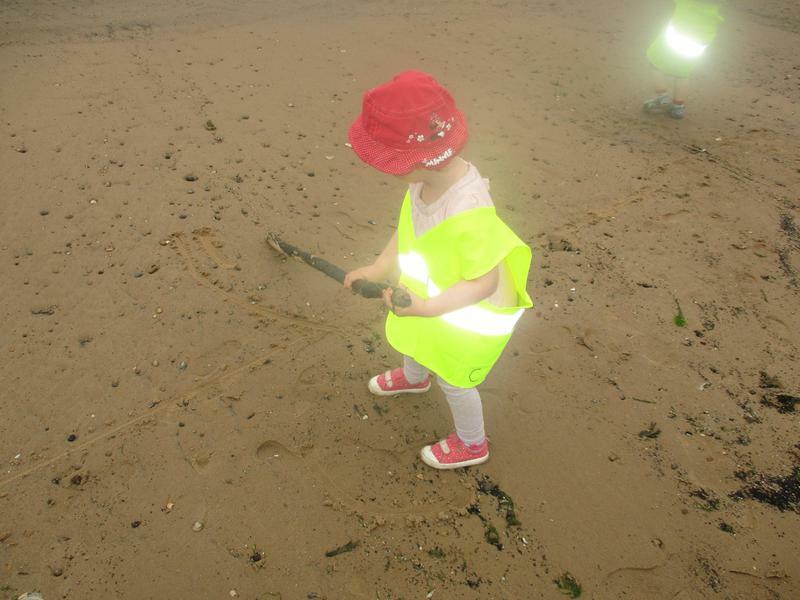 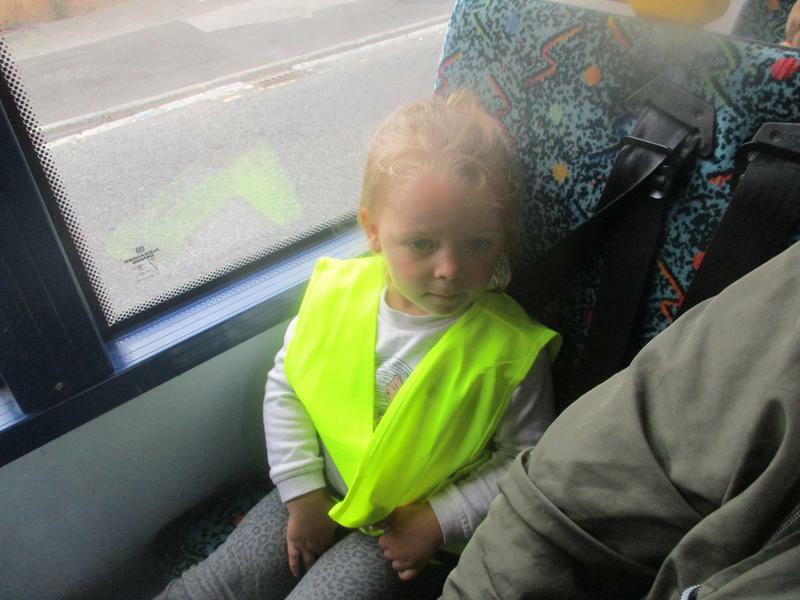 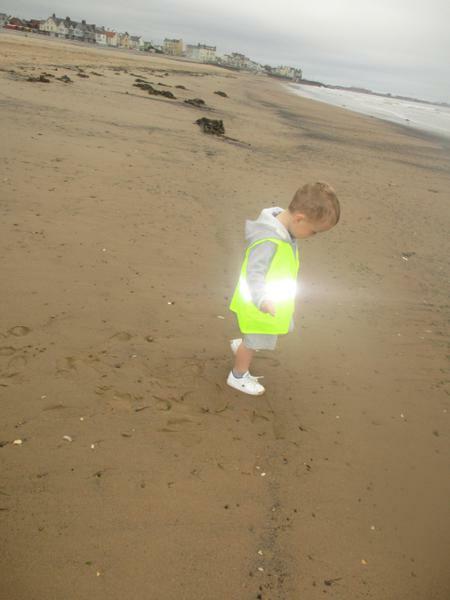 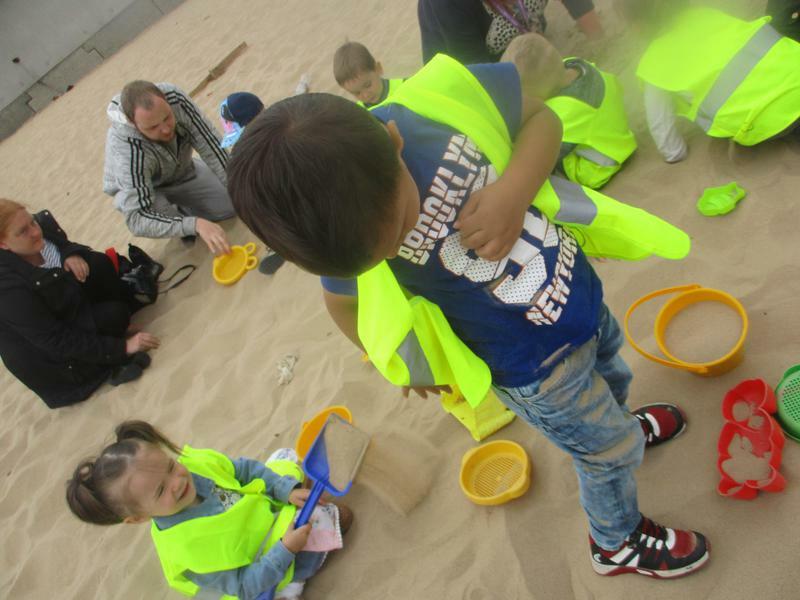 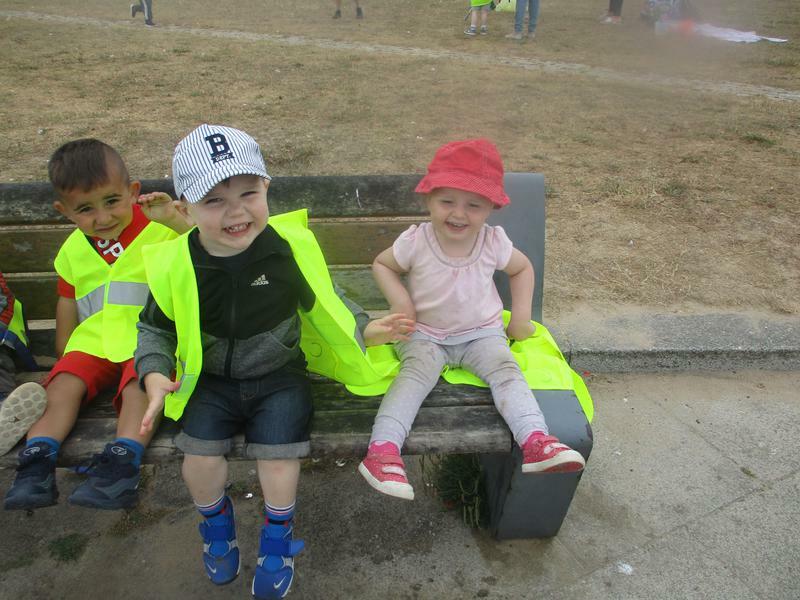 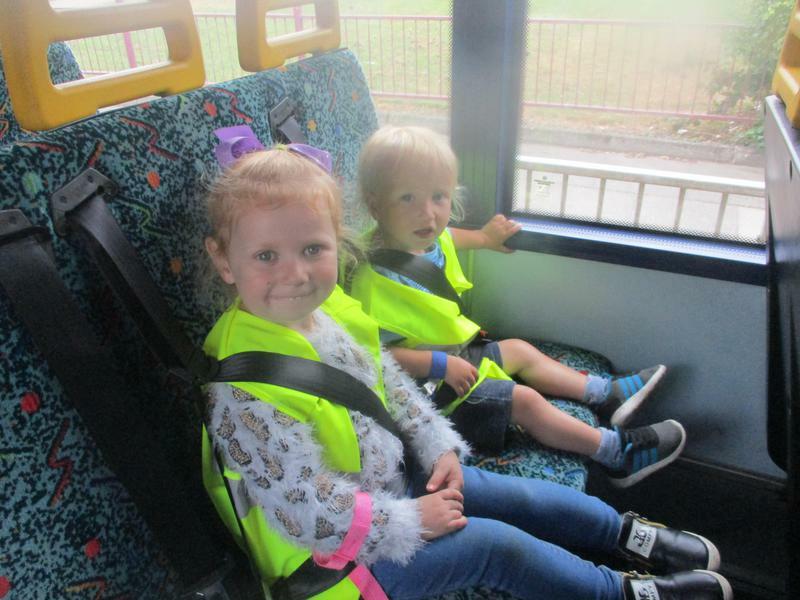 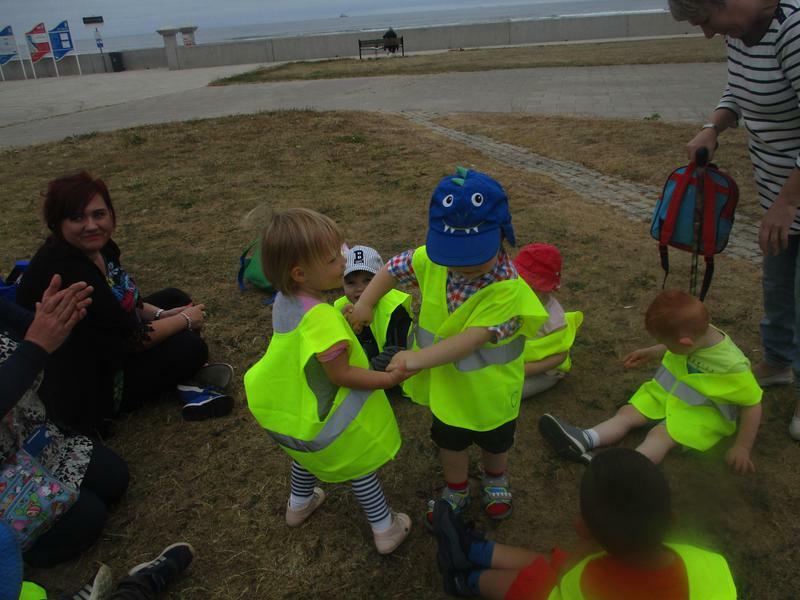 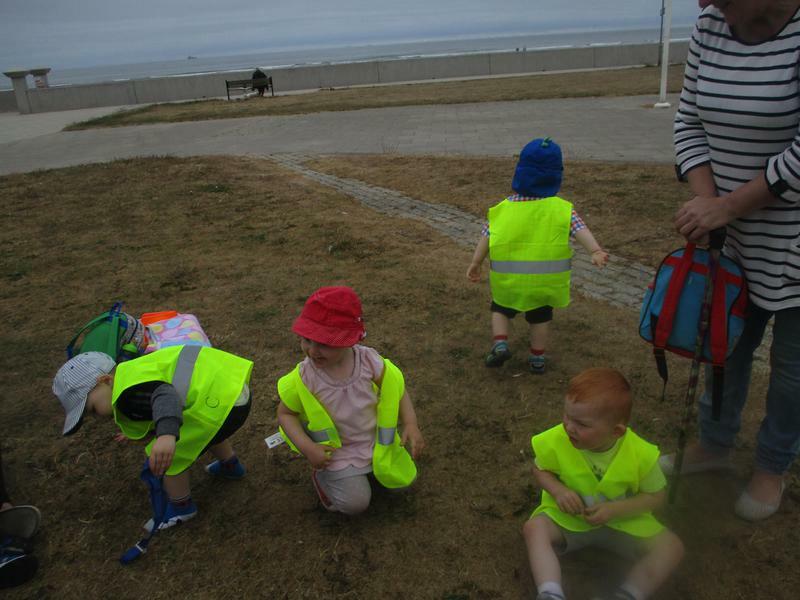 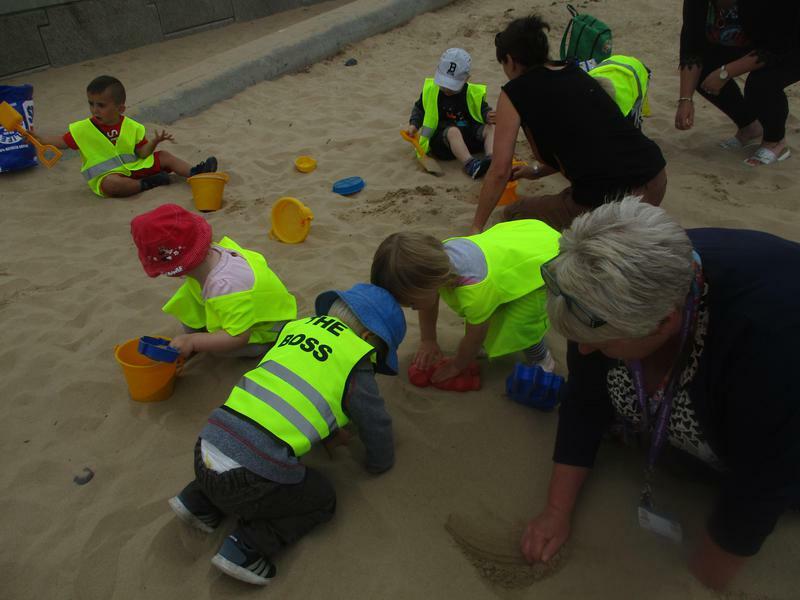 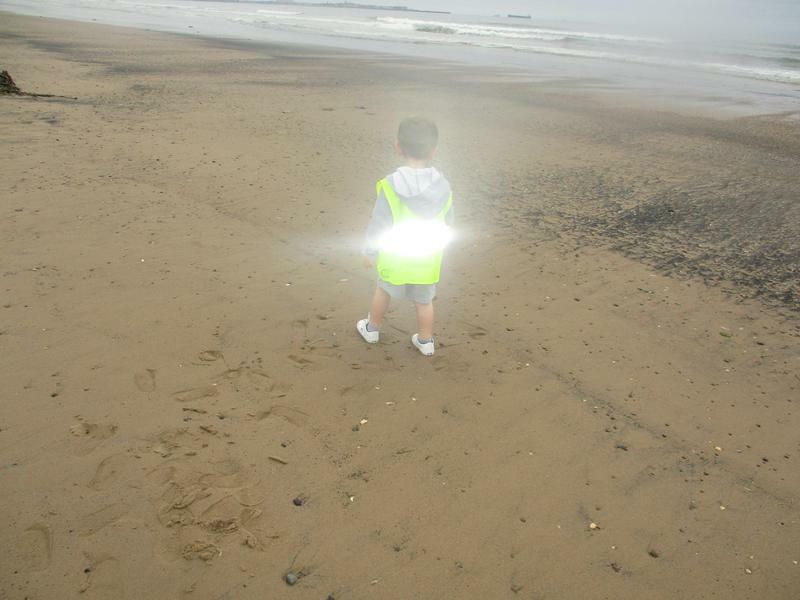 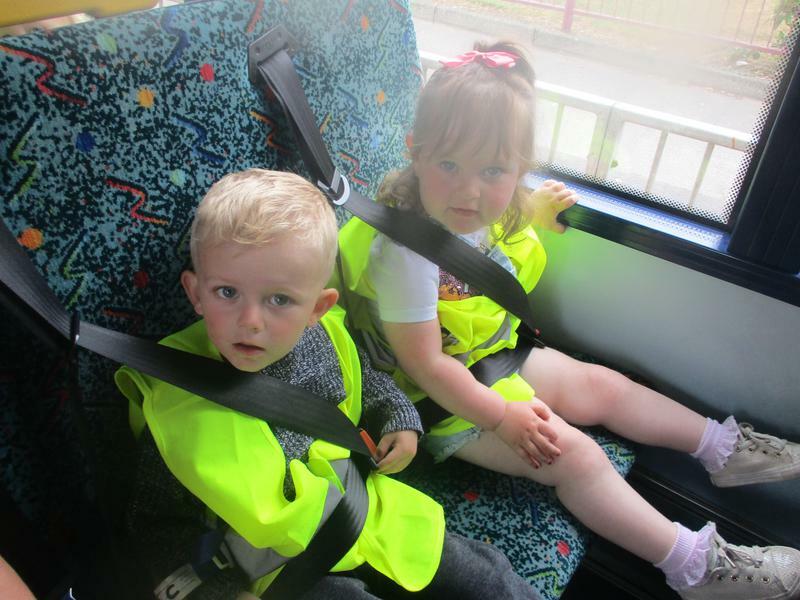 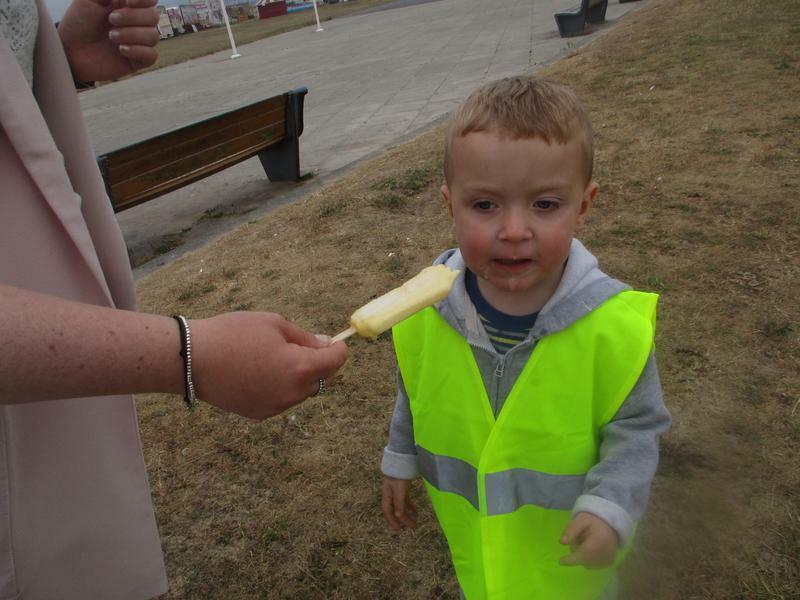 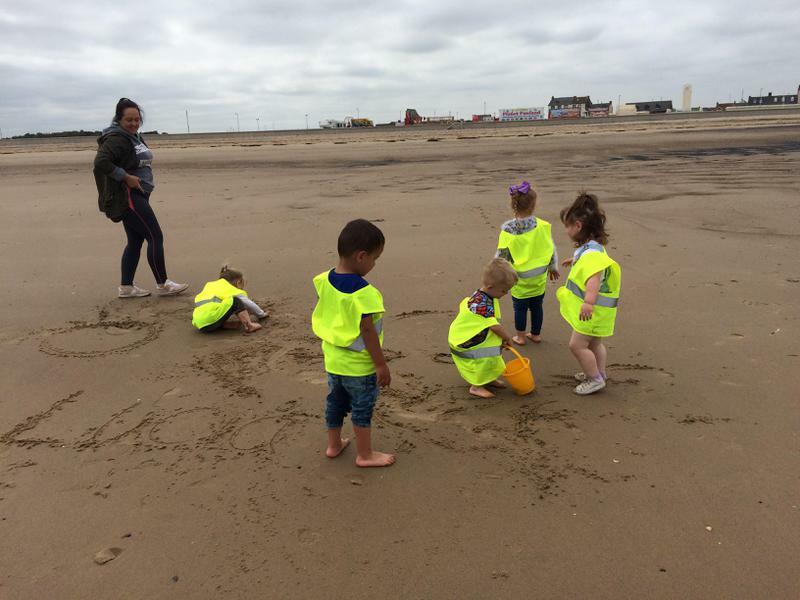 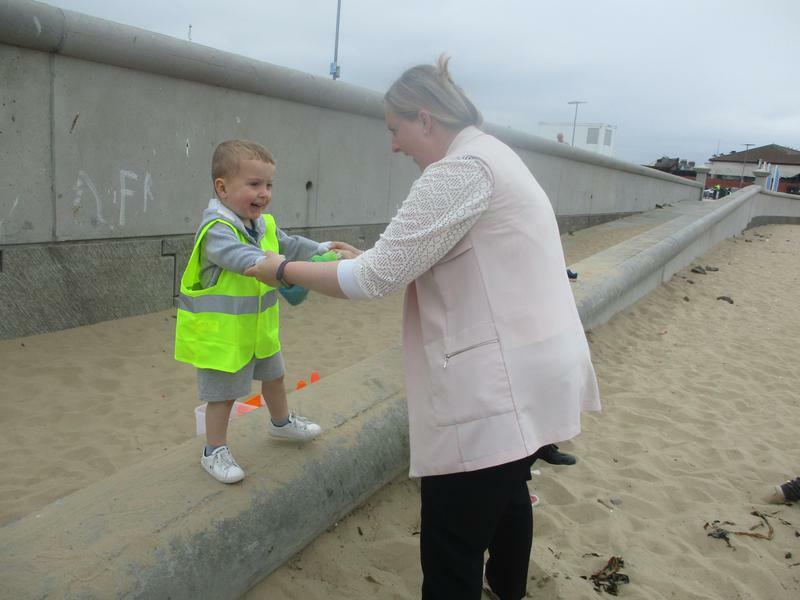 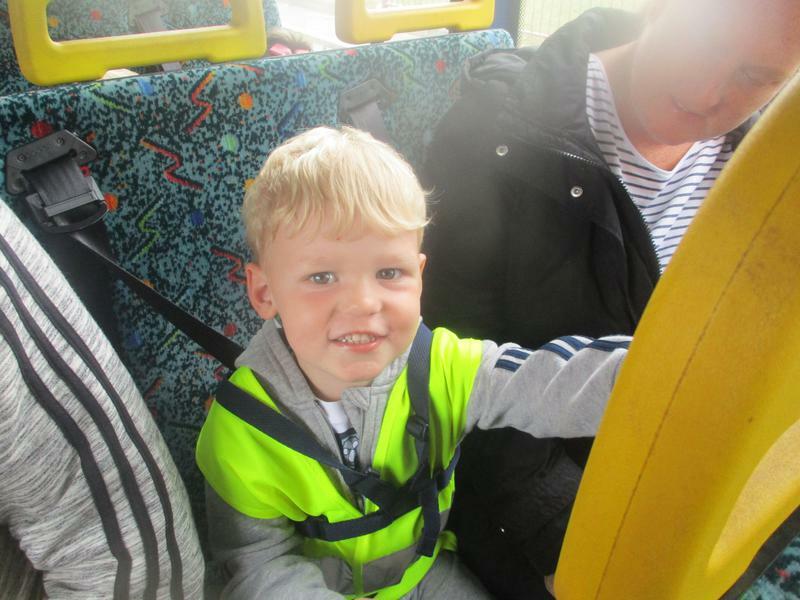 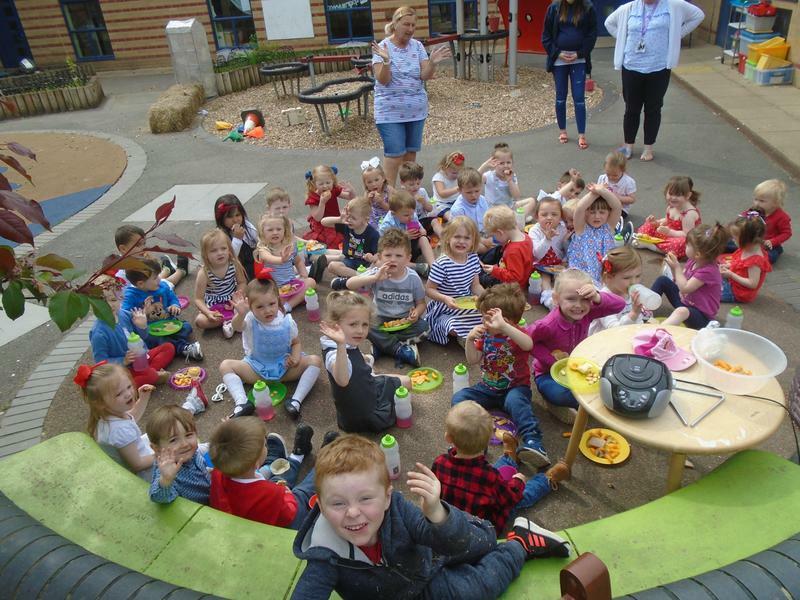 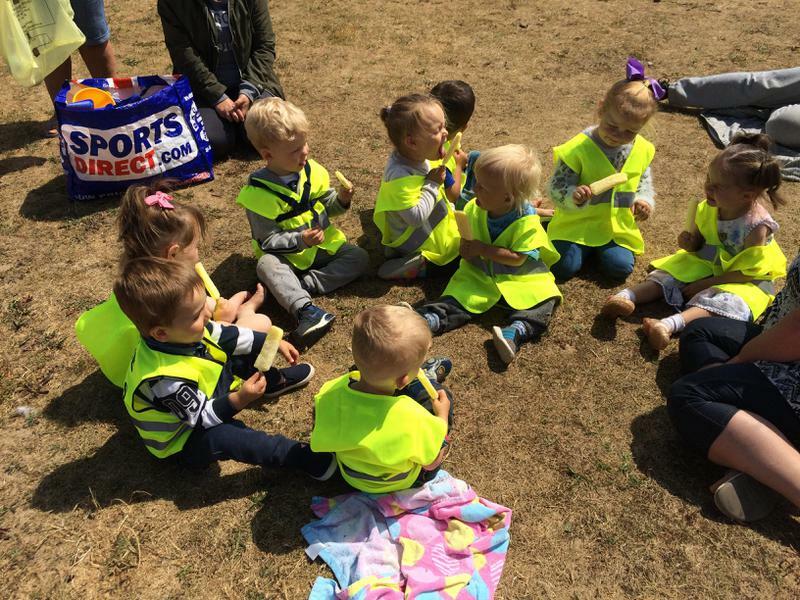 Caterpillars enjoyed a lovely sunny day at Seaton Carew. 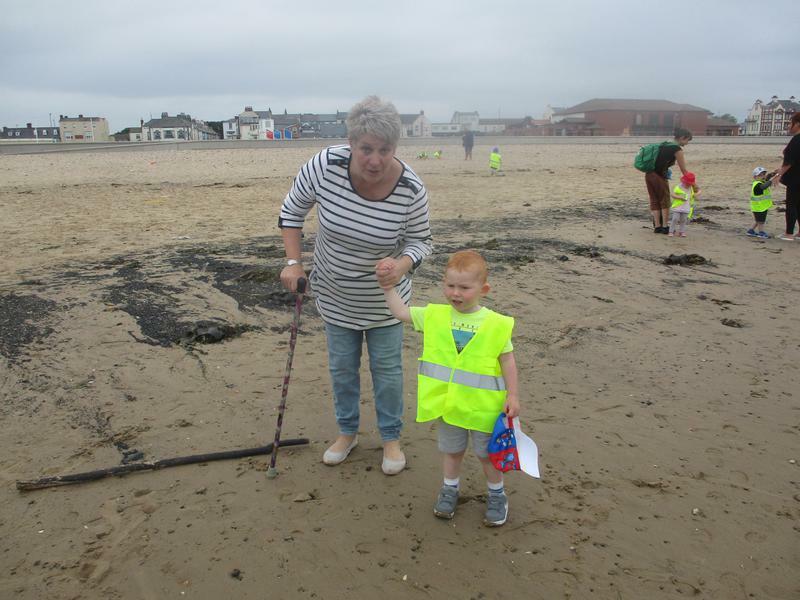 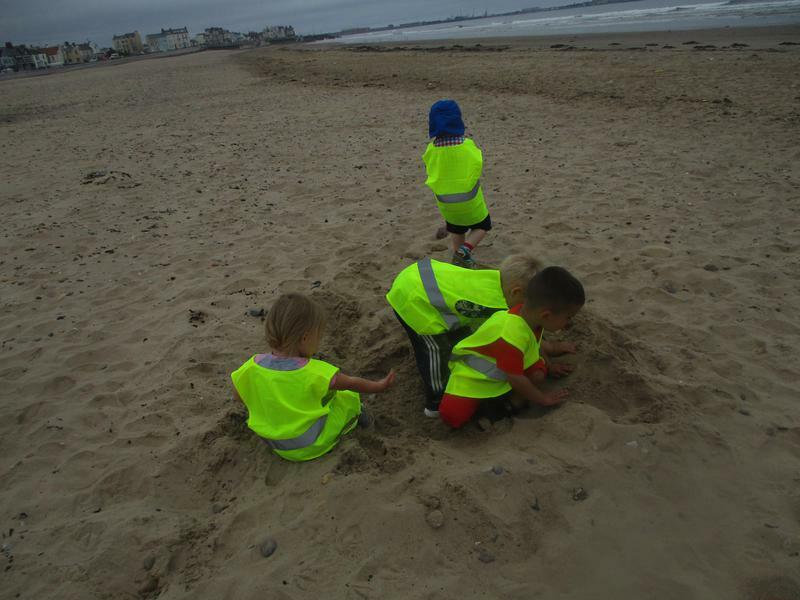 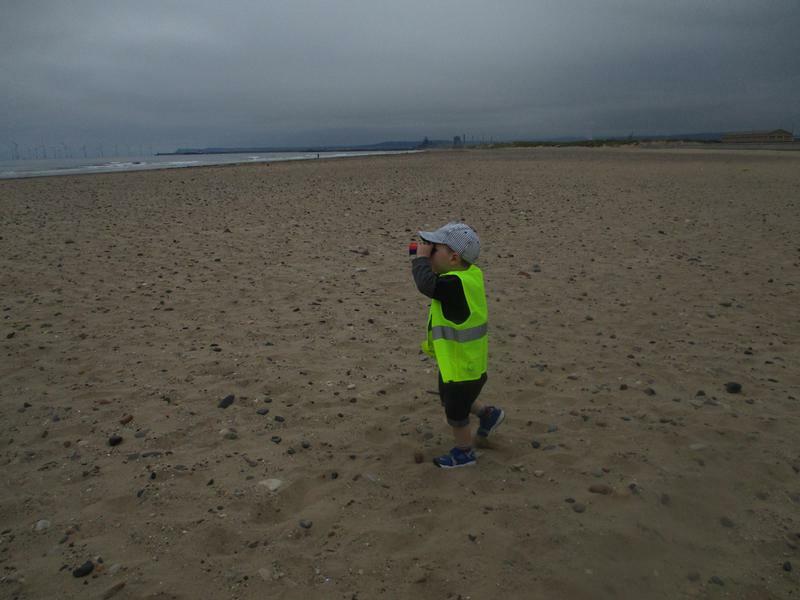 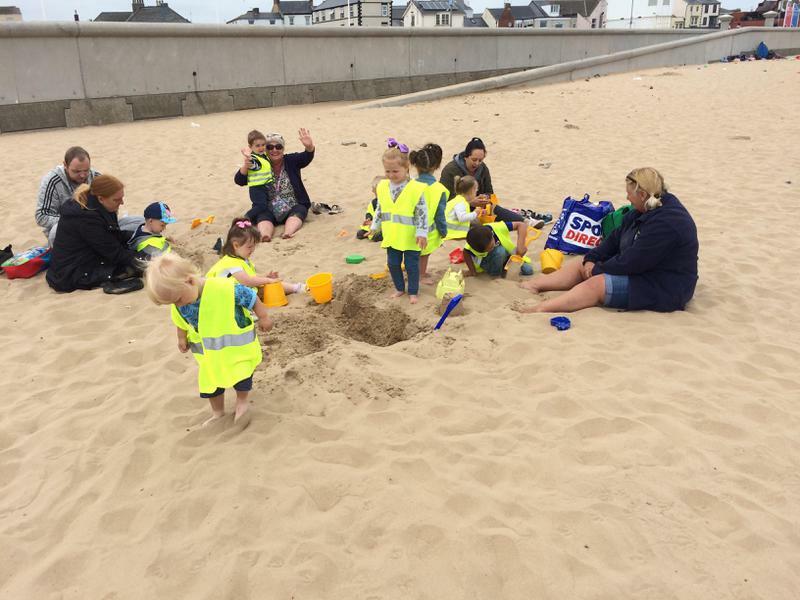 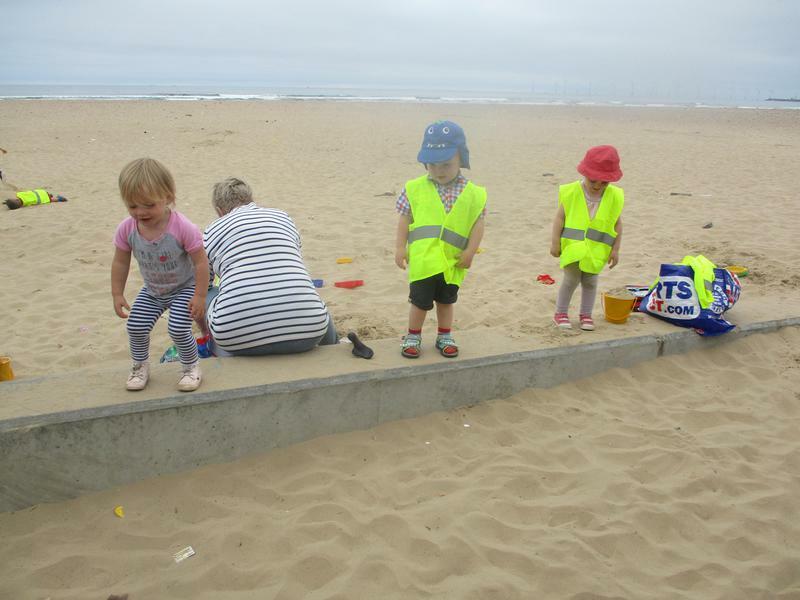 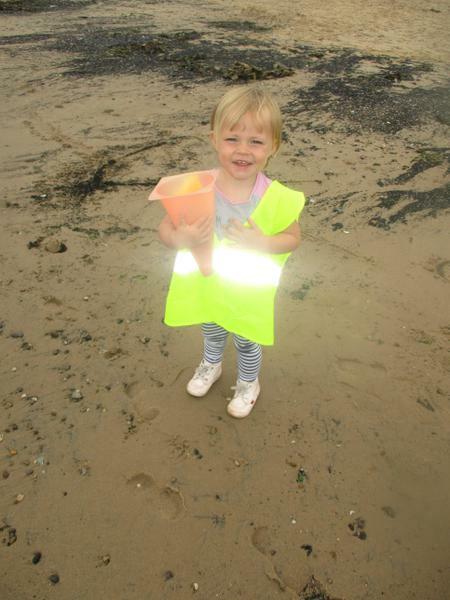 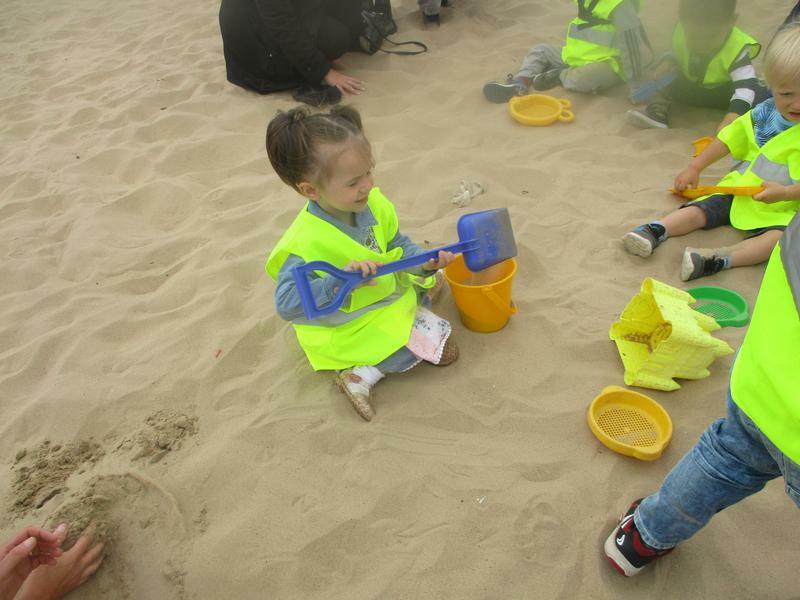 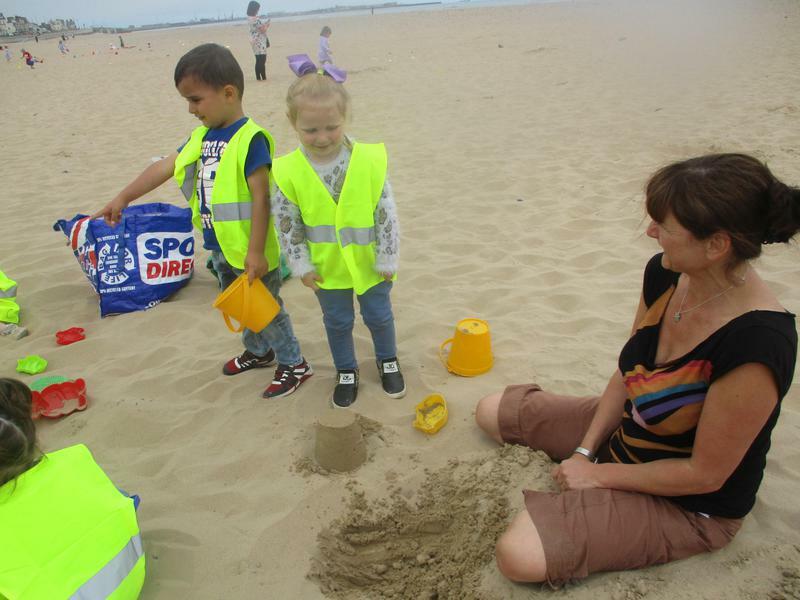 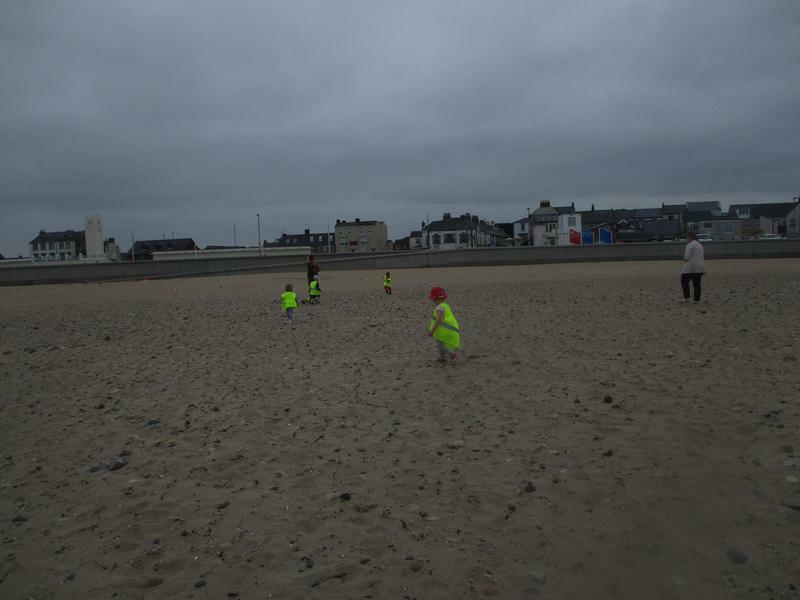 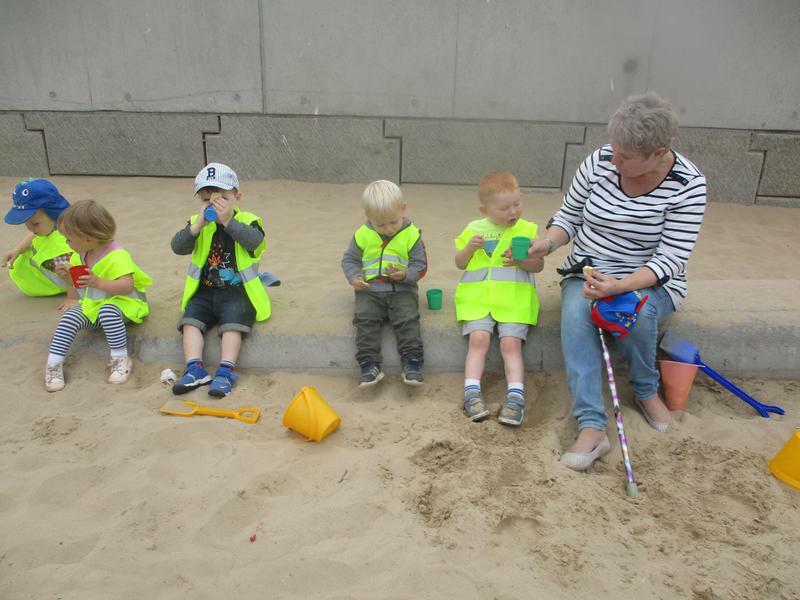 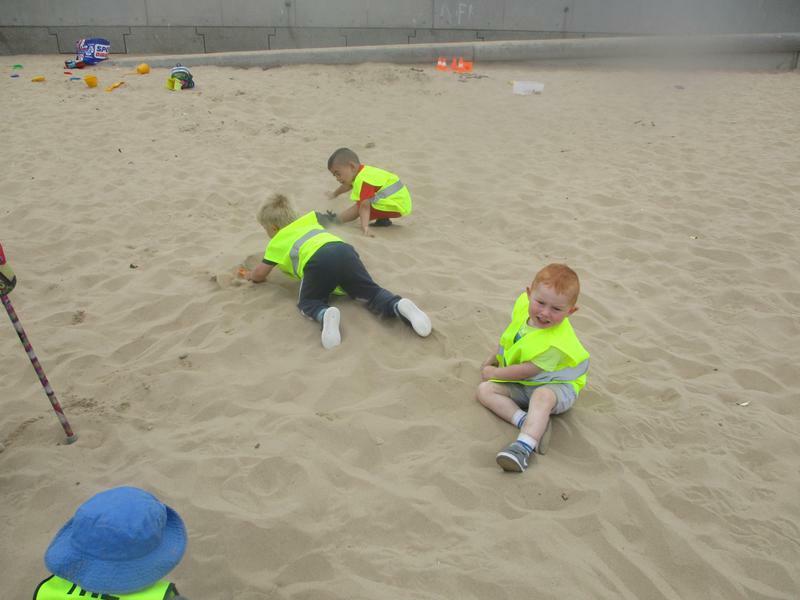 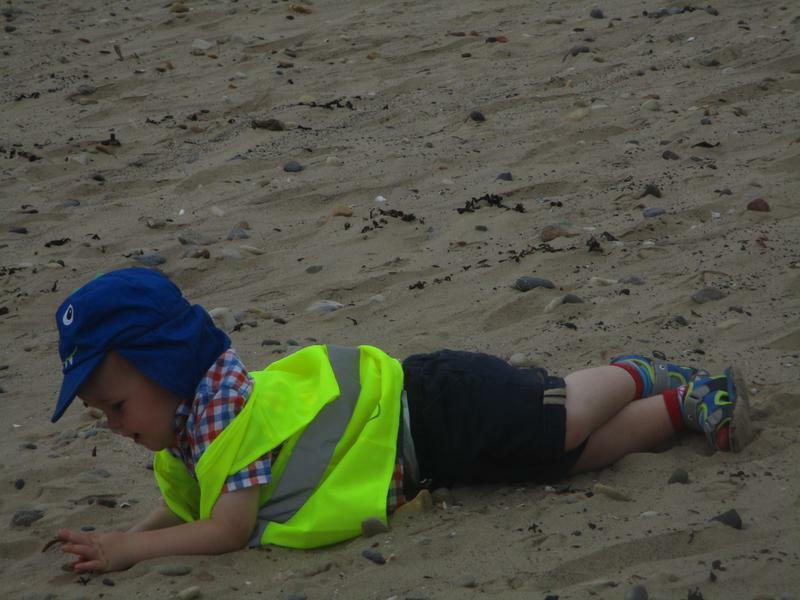 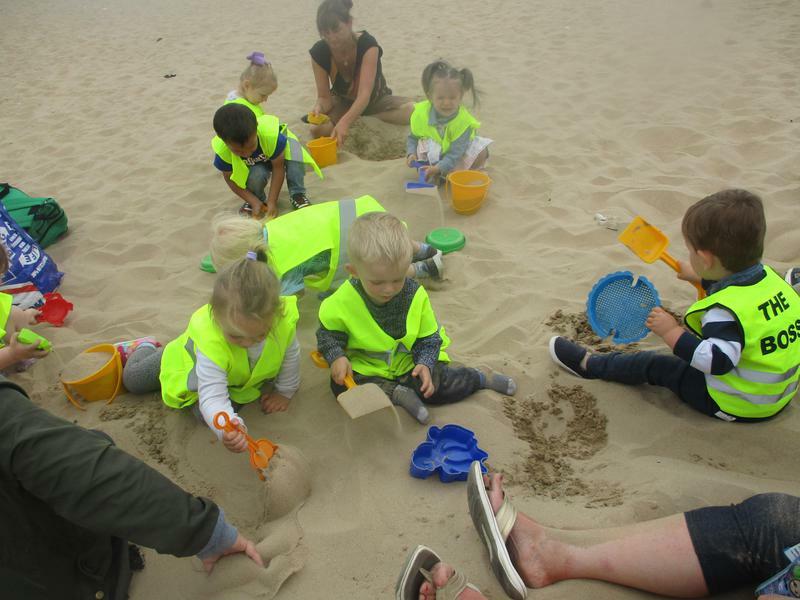 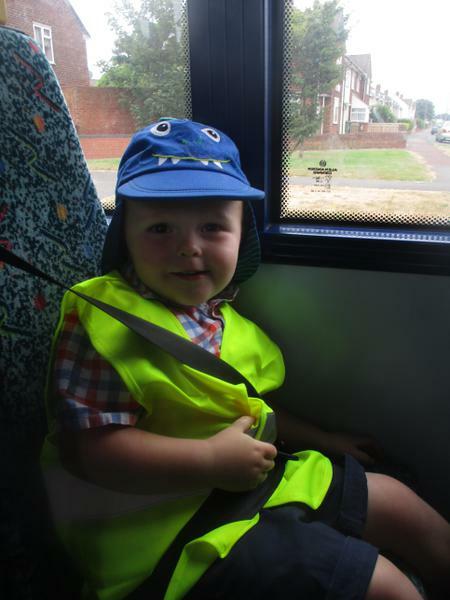 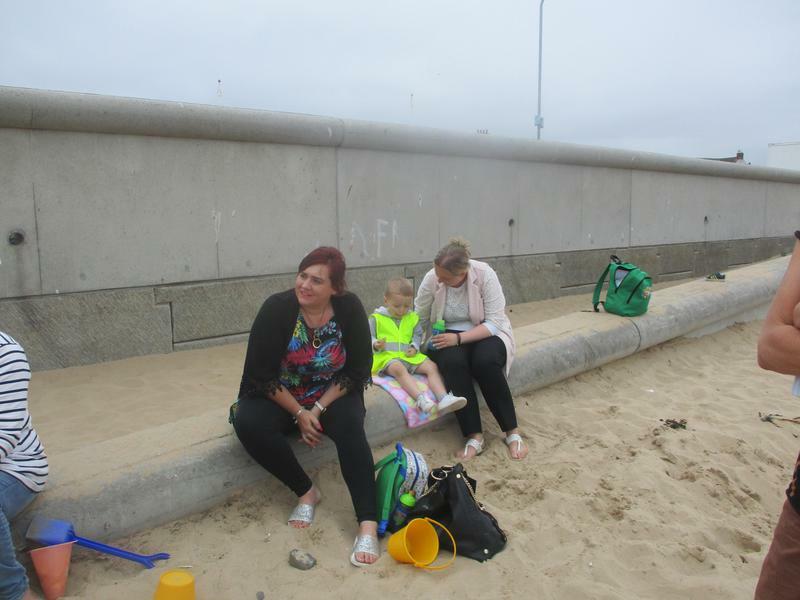 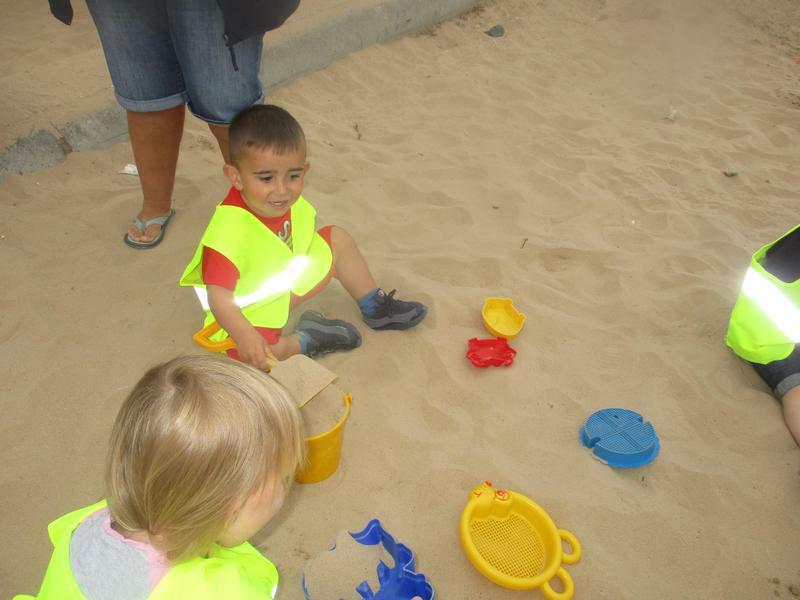 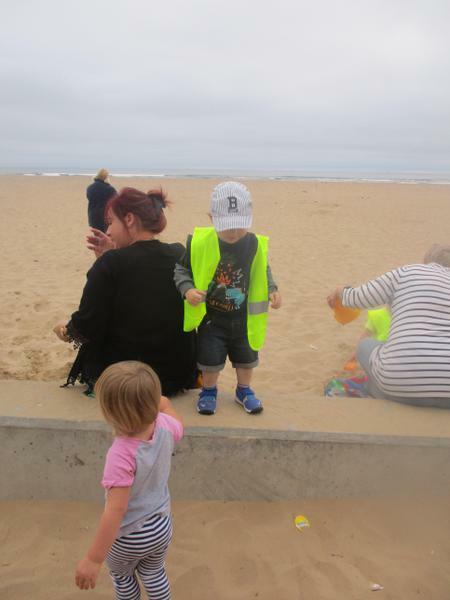 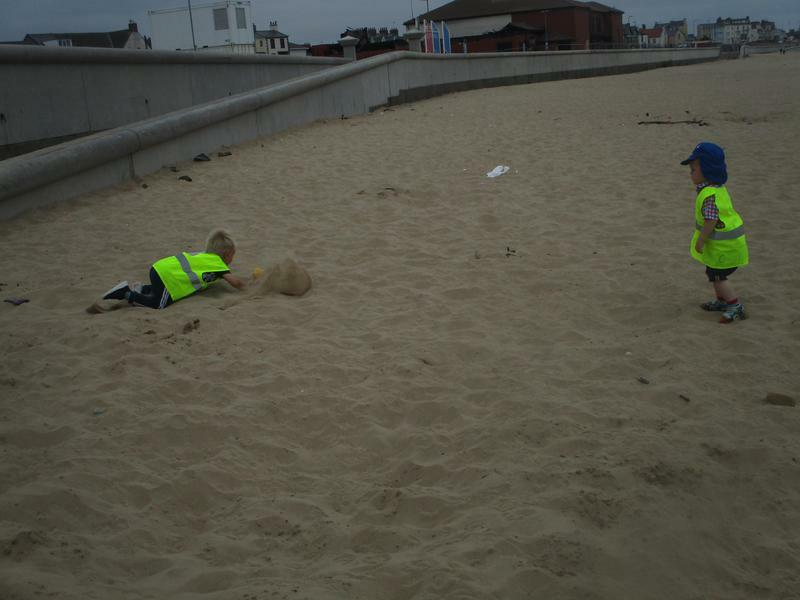 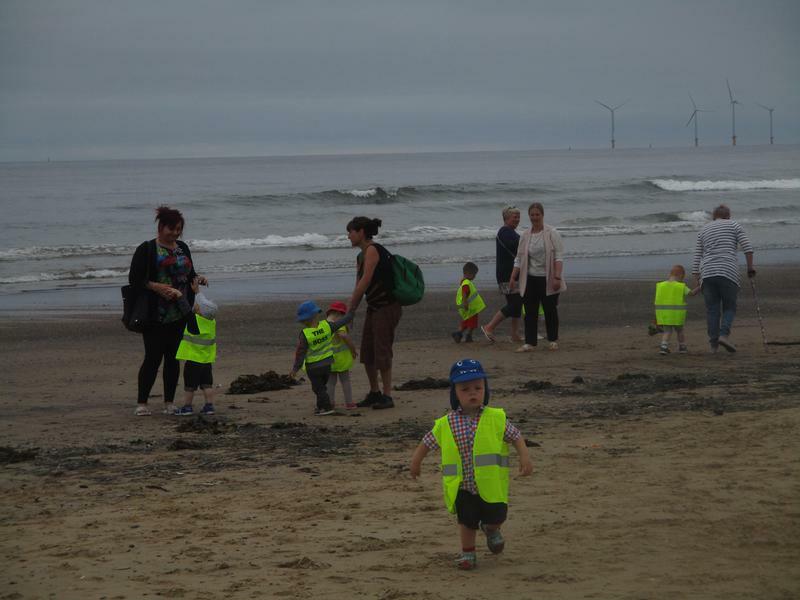 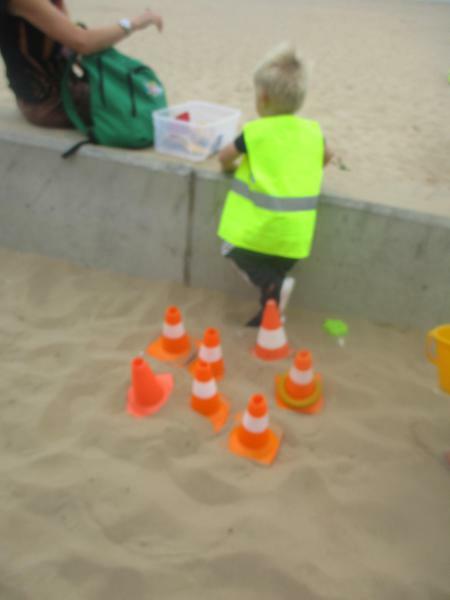 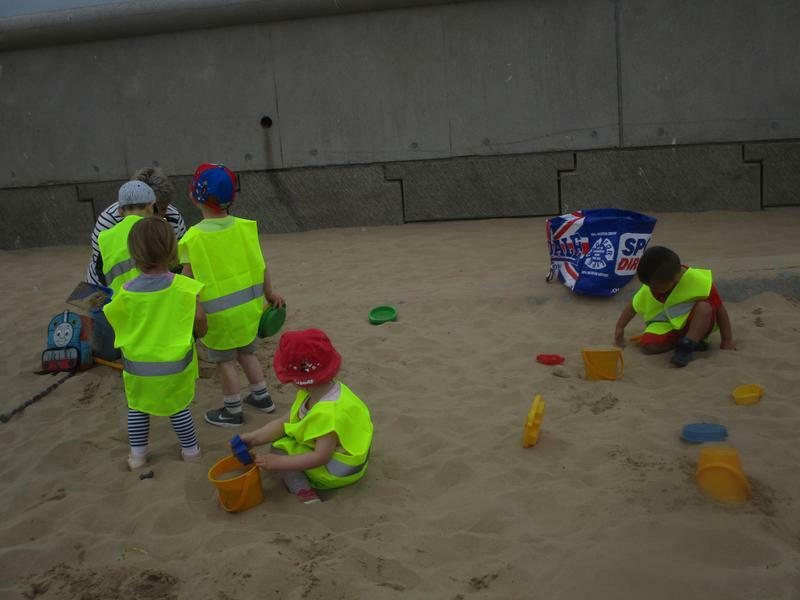 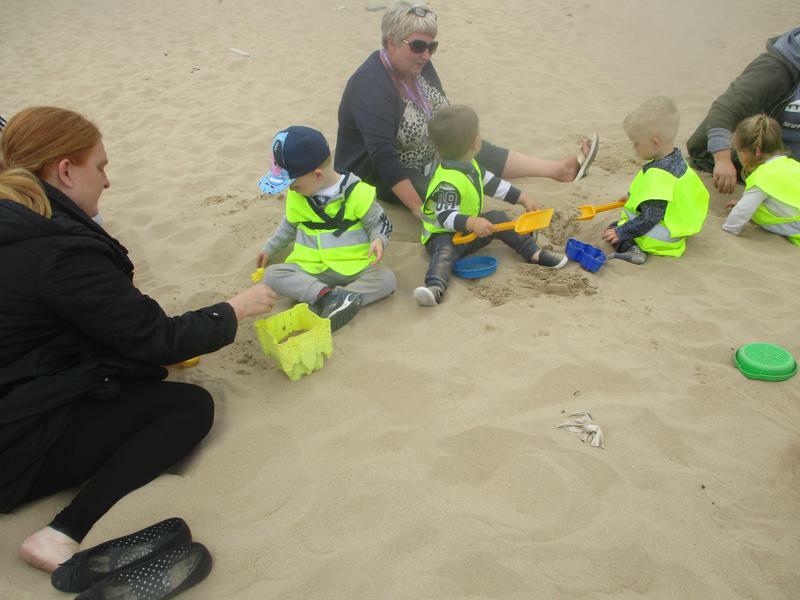 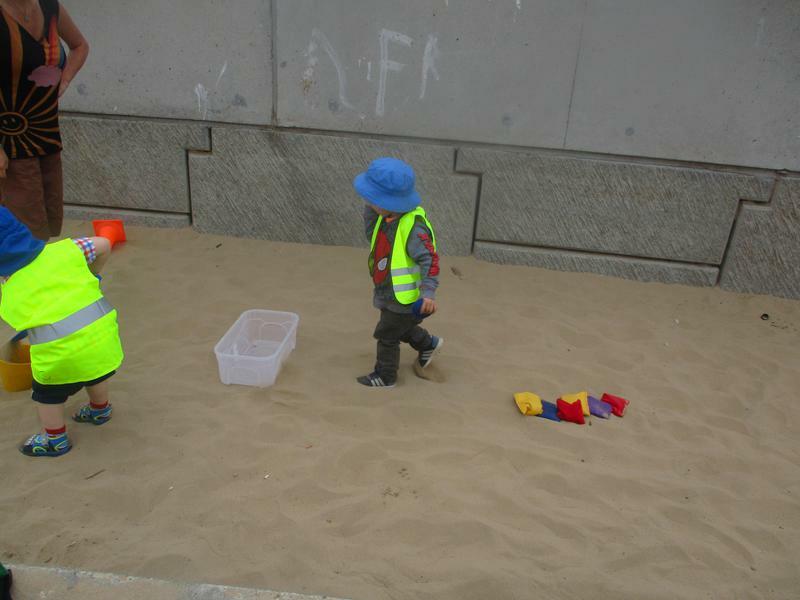 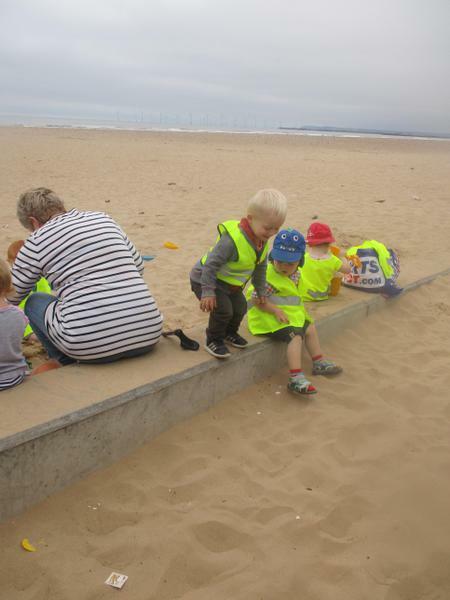 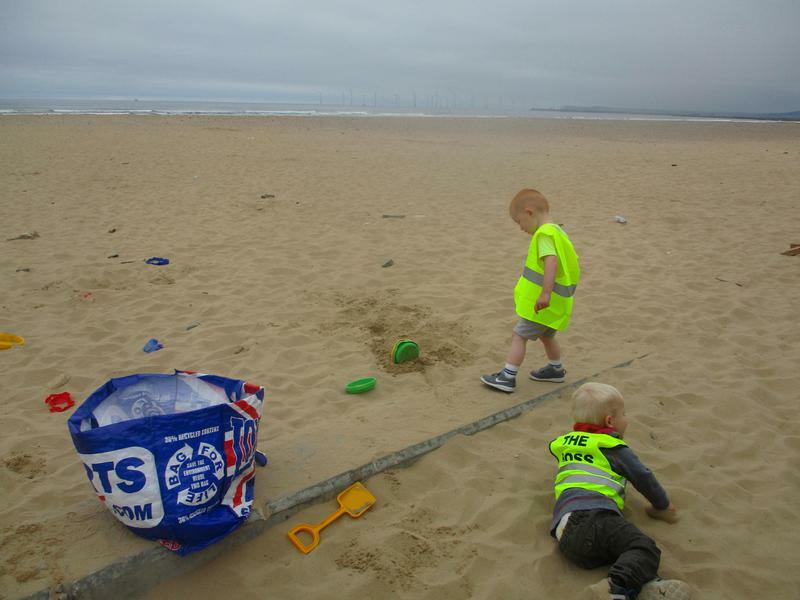 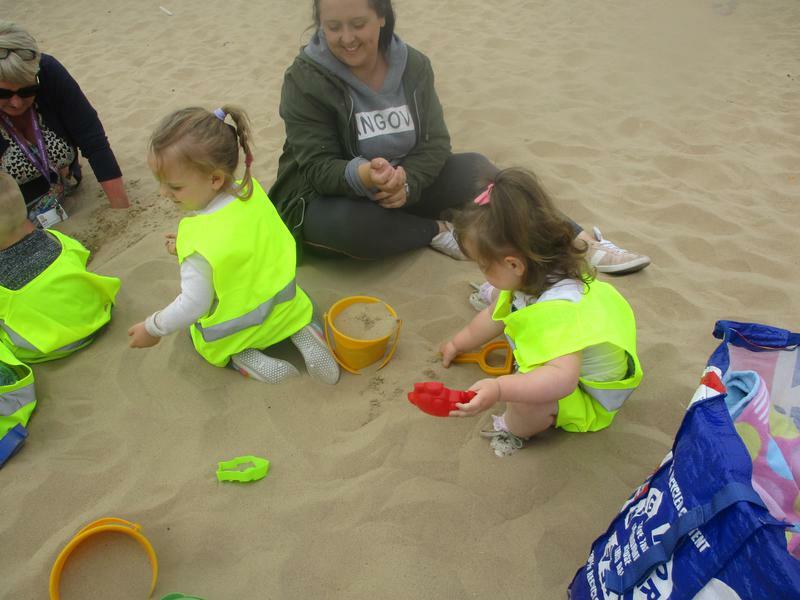 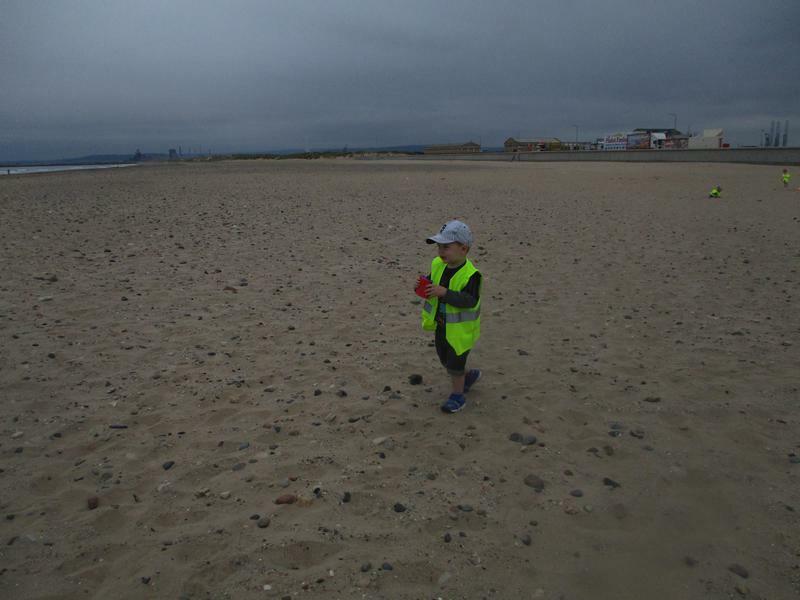 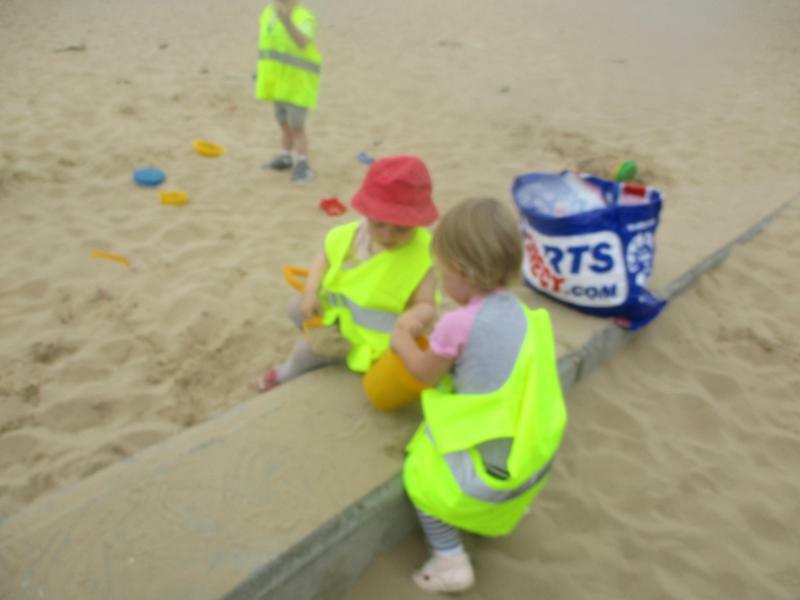 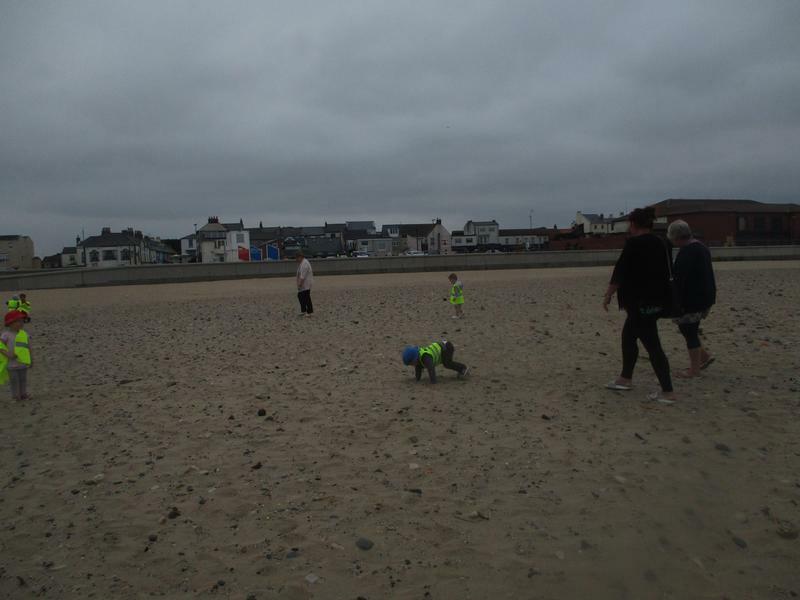 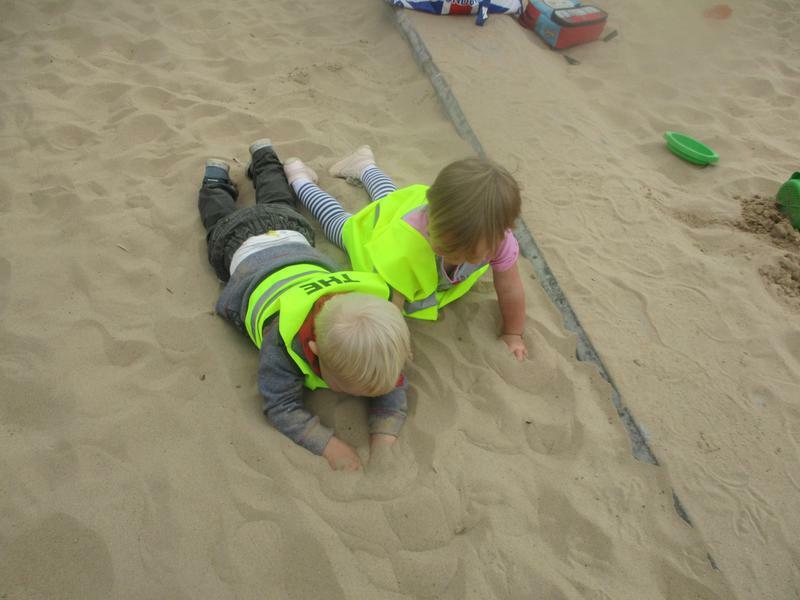 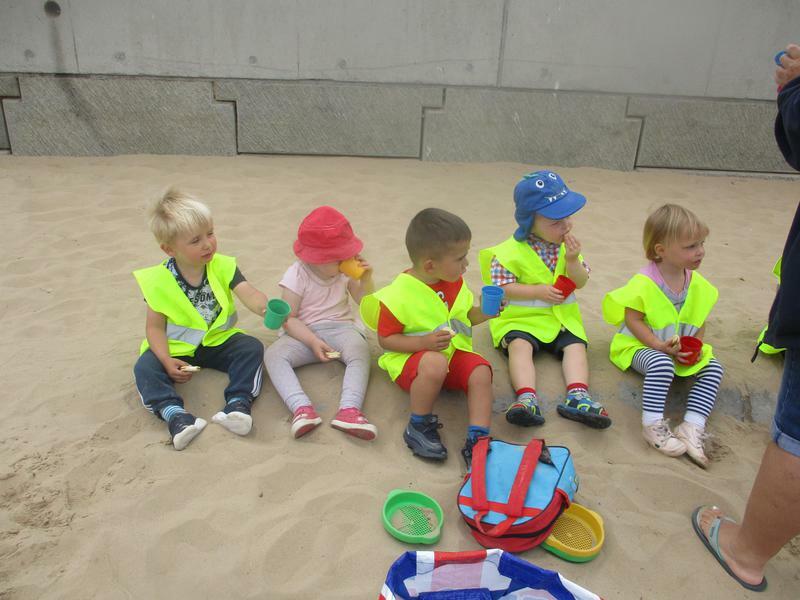 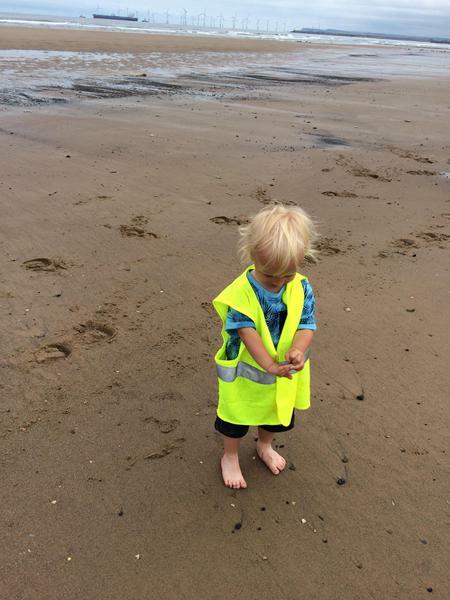 We made sandcastles on the beach, had a paddle in the pools and had a yummy ice-lolly before returning back to nursery. 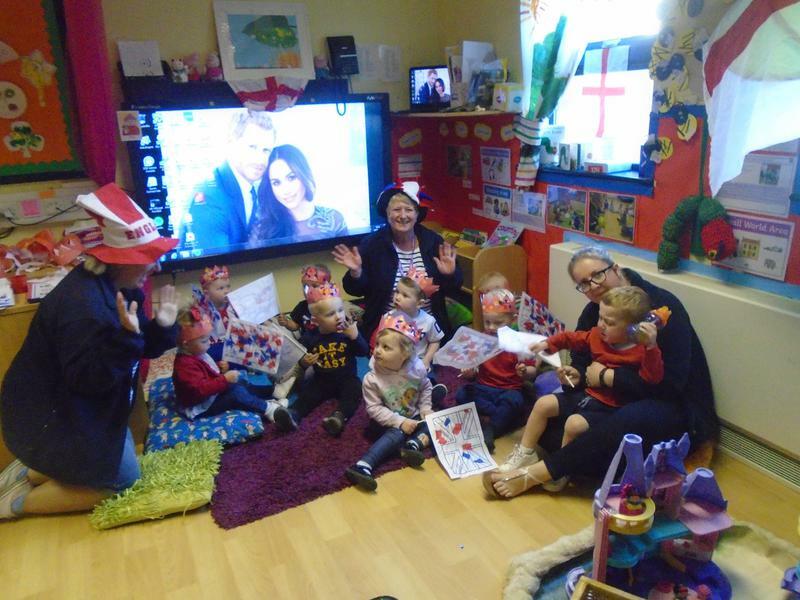 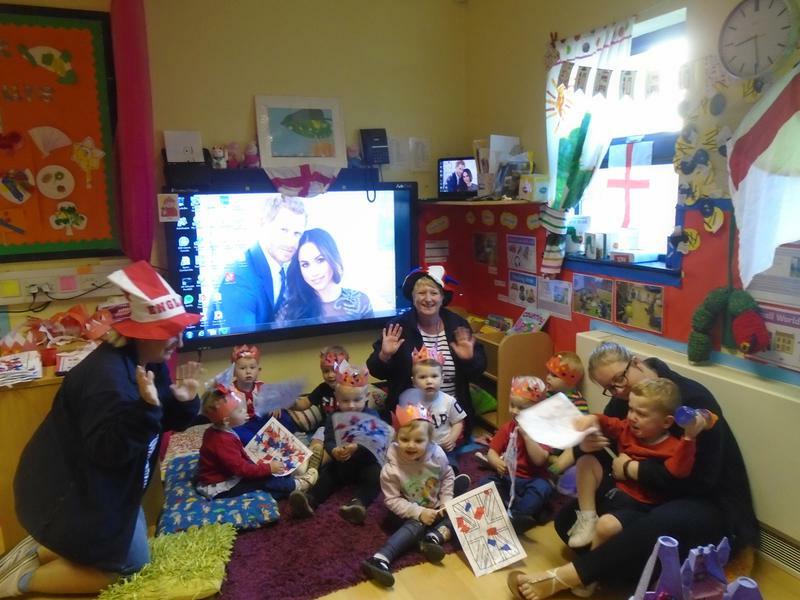 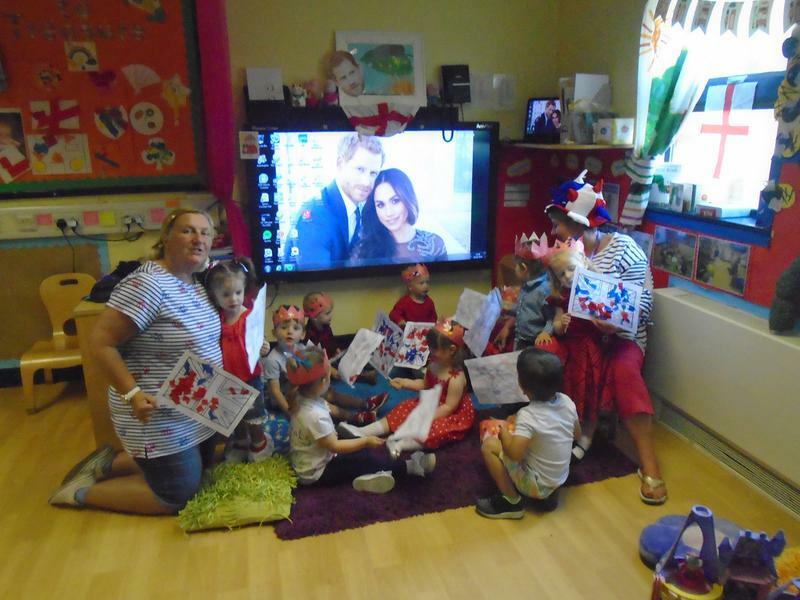 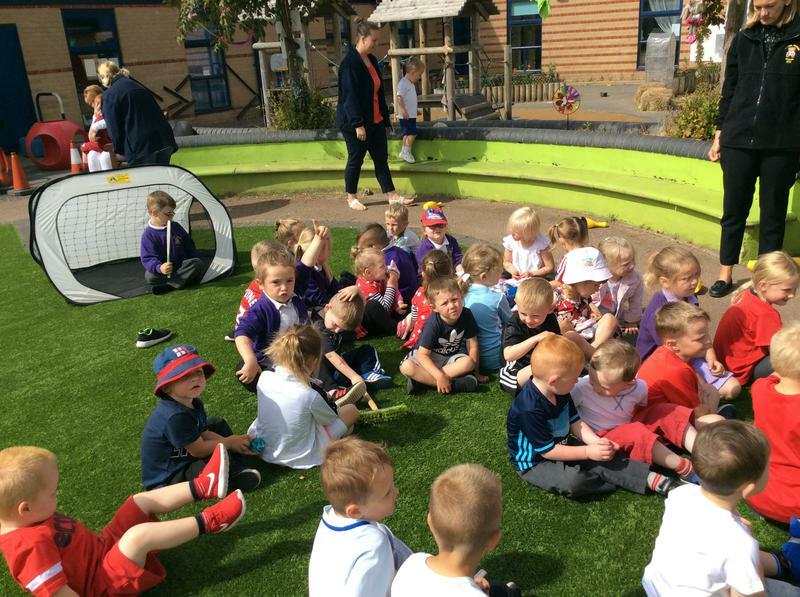 A big thankyou to all of our families for supporting our World cup day. 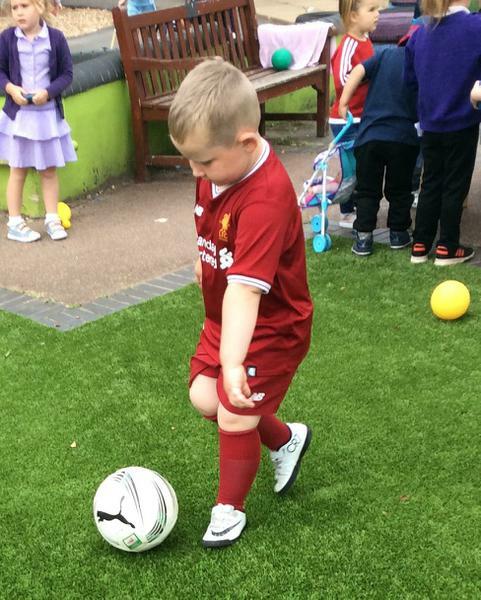 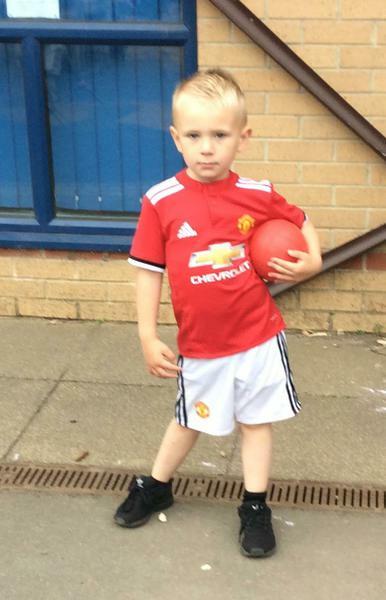 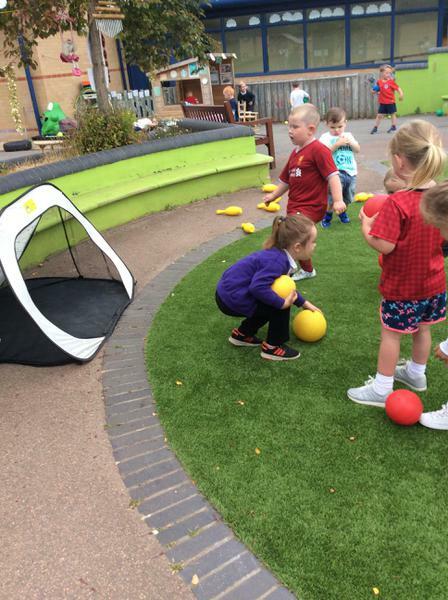 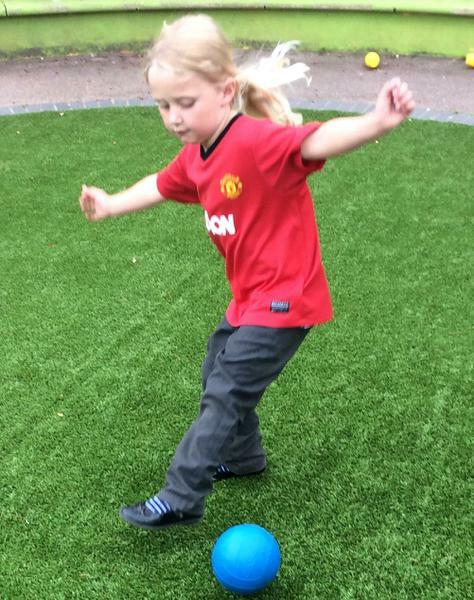 We had fun practising our ball skills in the nursery garden. 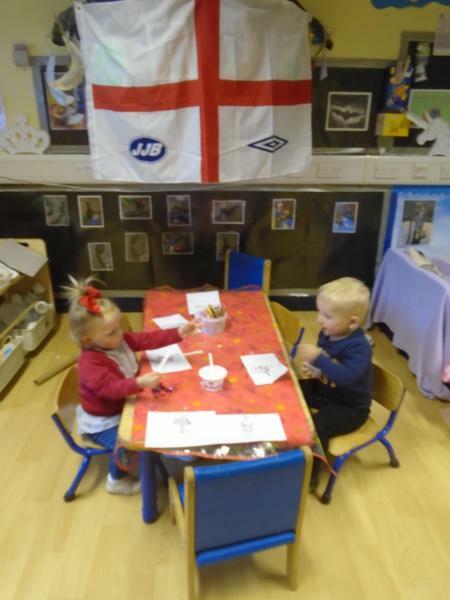 Football is coming home ! 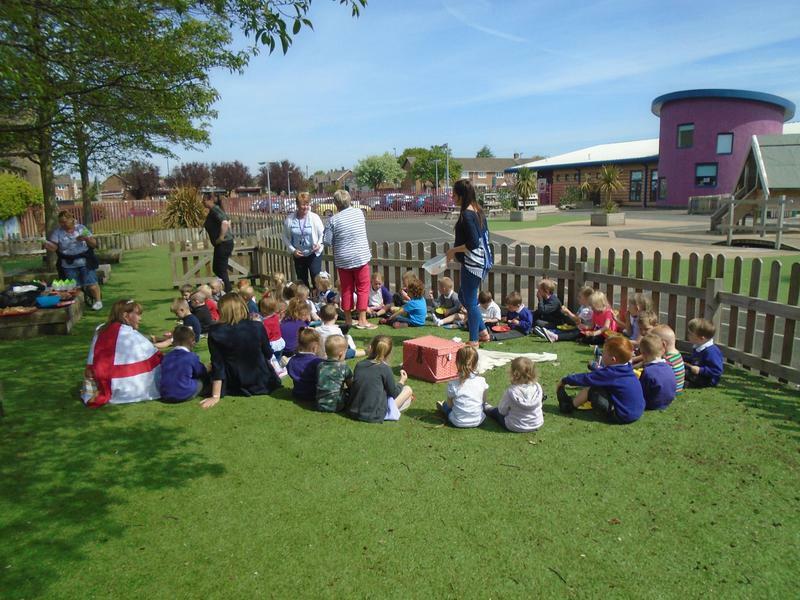 Caterpillars are enjoying the sunshine and continue exploring our topic "What is a shadow?". 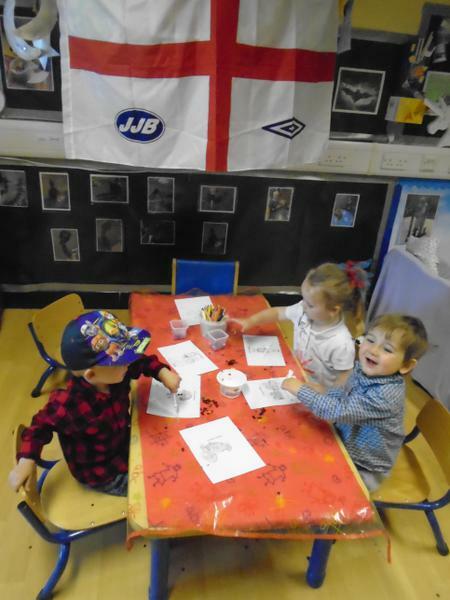 We have looking at the story of Peter Pan and pirates. 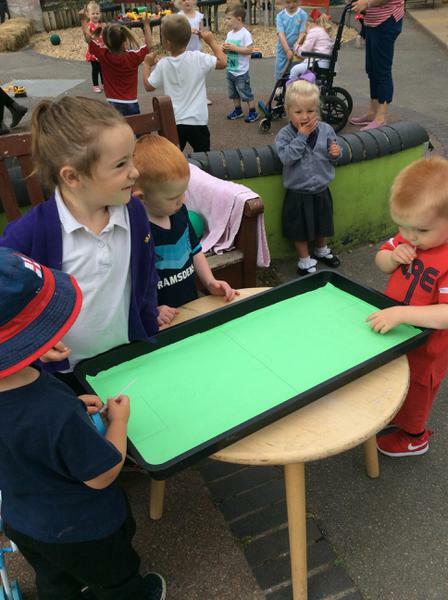 We even walked the plank! 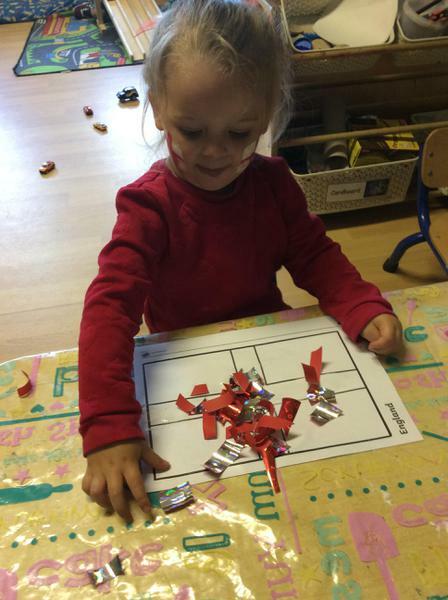 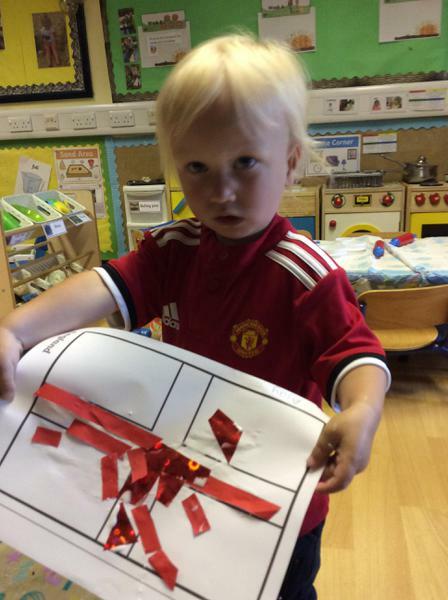 To start our new topic we made lots of moons, suns and stars to decorate our nursery. 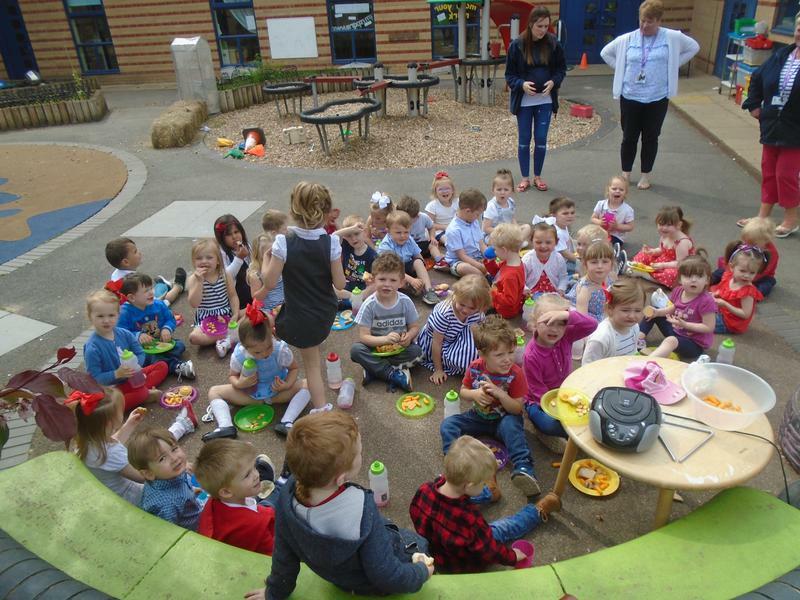 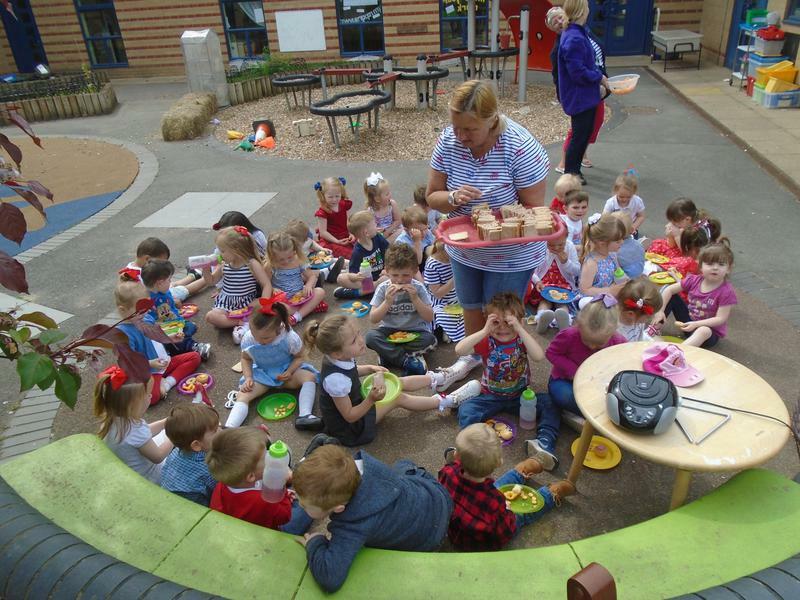 We also celebrated World Earth day by looking after our nursery garden, recycling by model making and making planet biscuits.